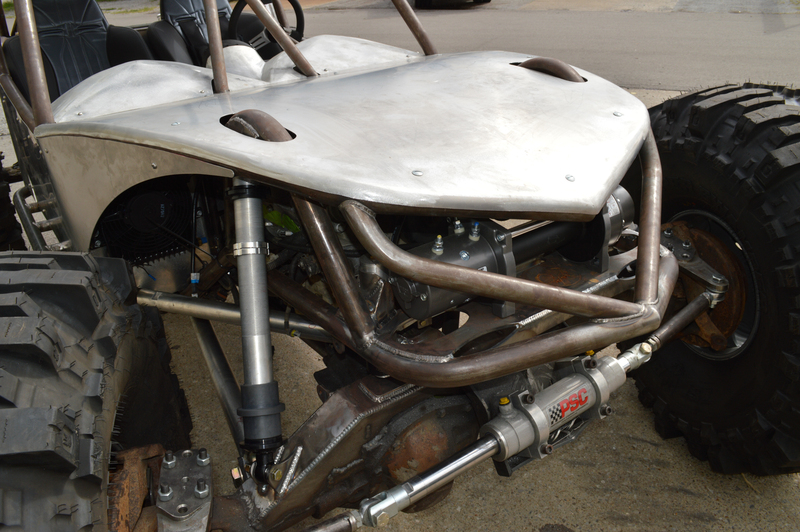 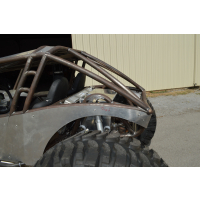 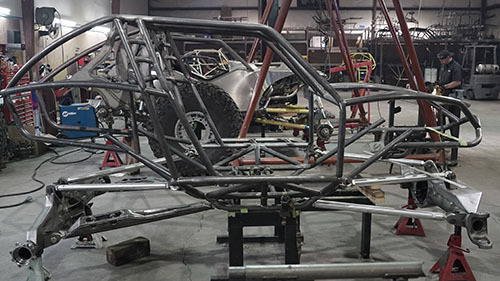 We build our chassis from completely bare shipped out on a pallet, to roller with drivetrain mounted, to full turn-key ready to go wheelin. 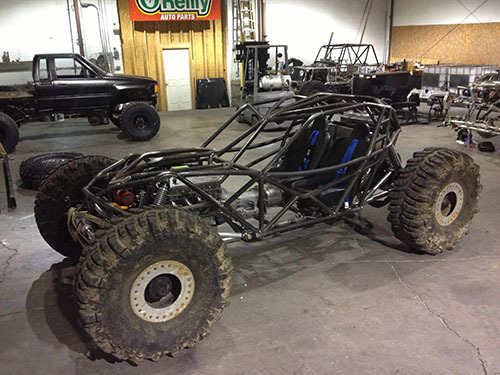 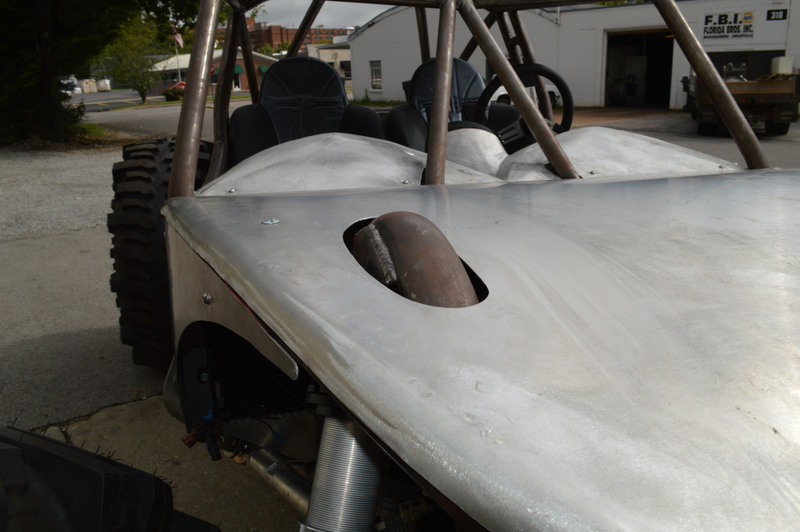 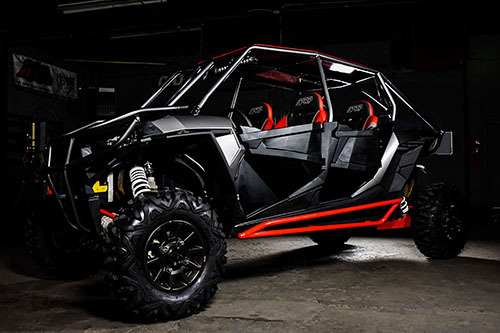 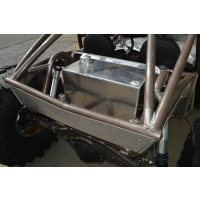 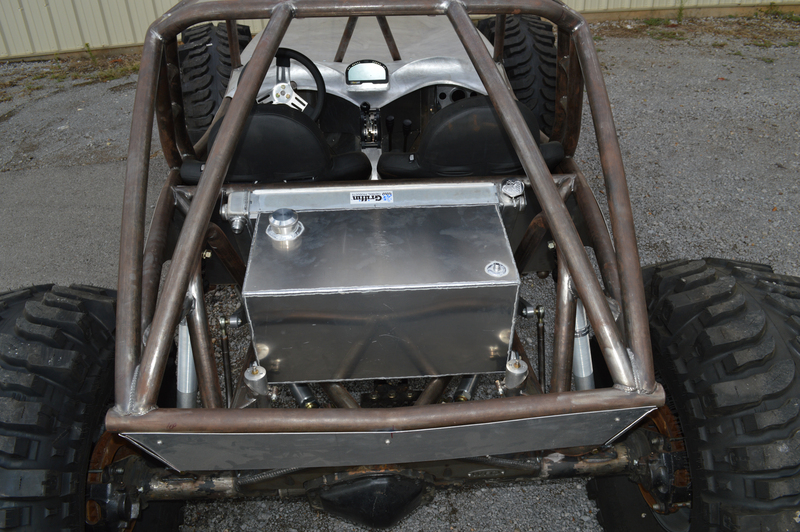 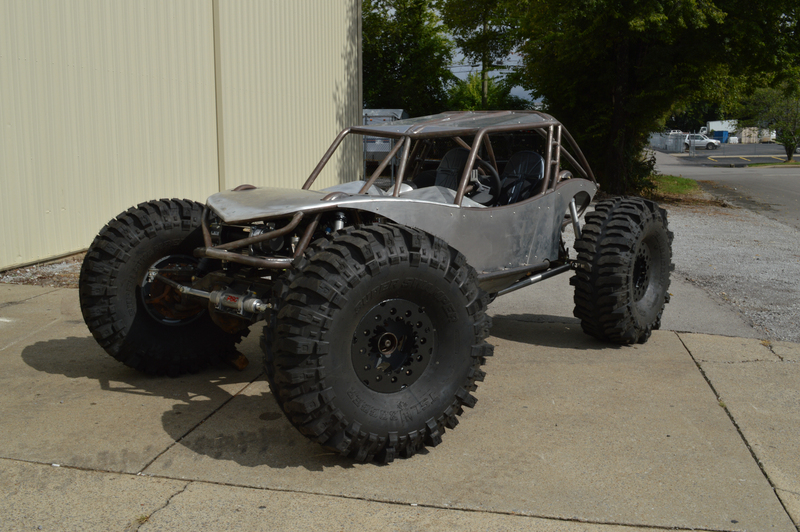 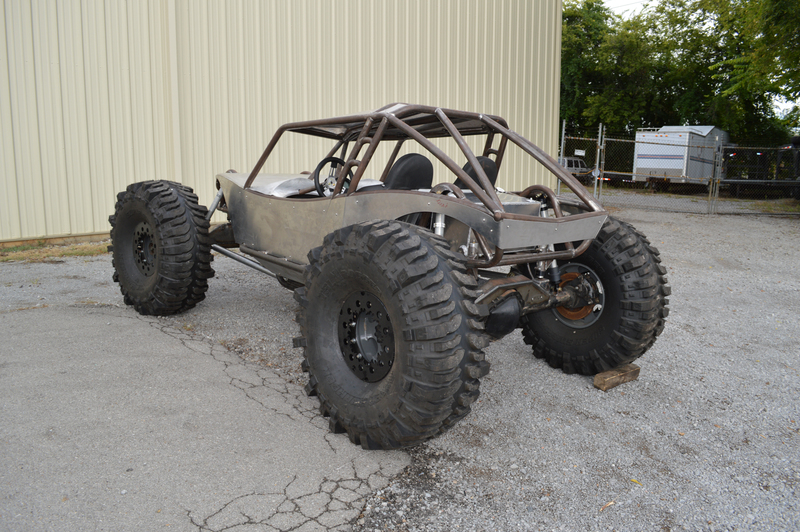 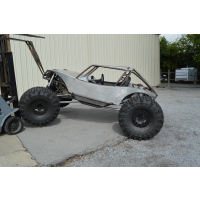 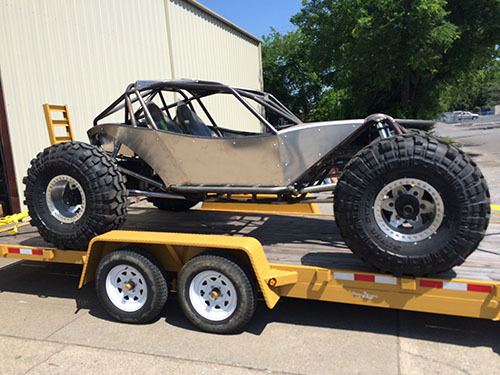 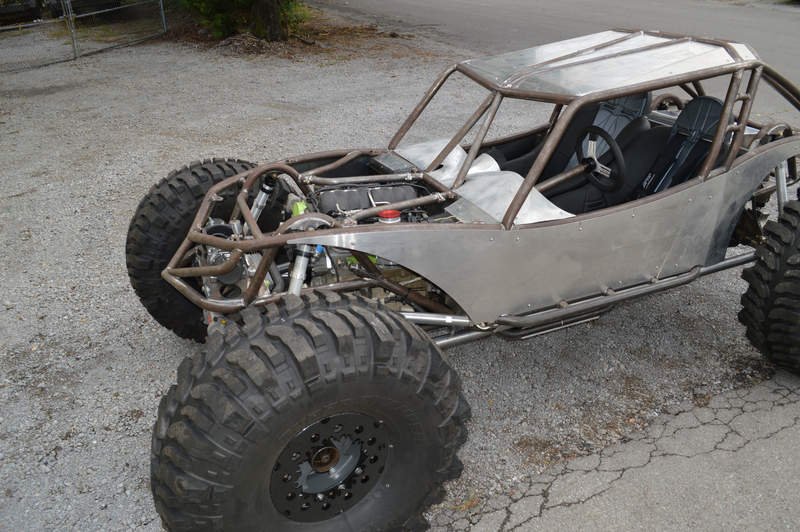 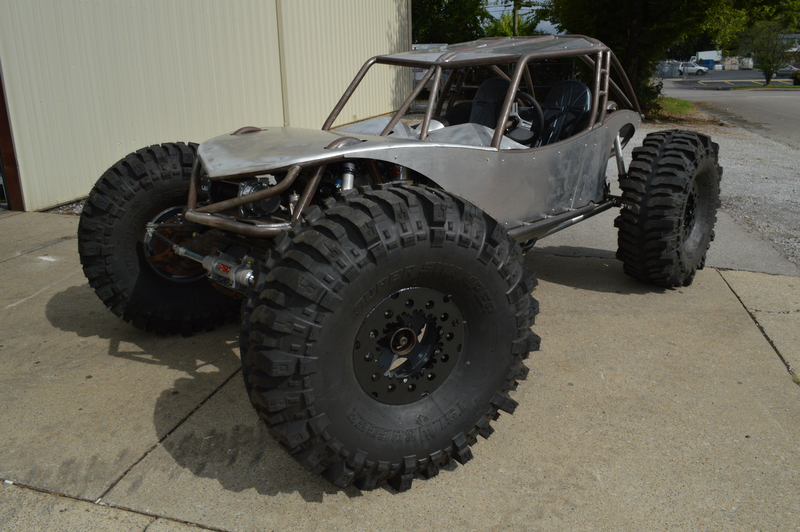 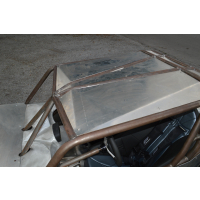 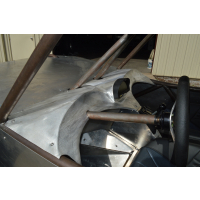 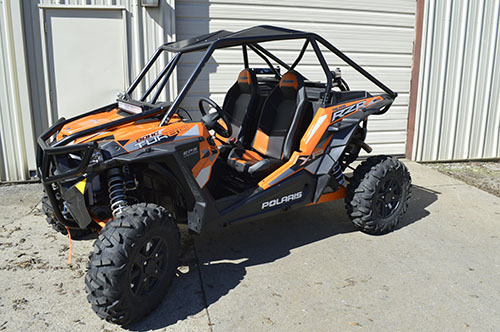 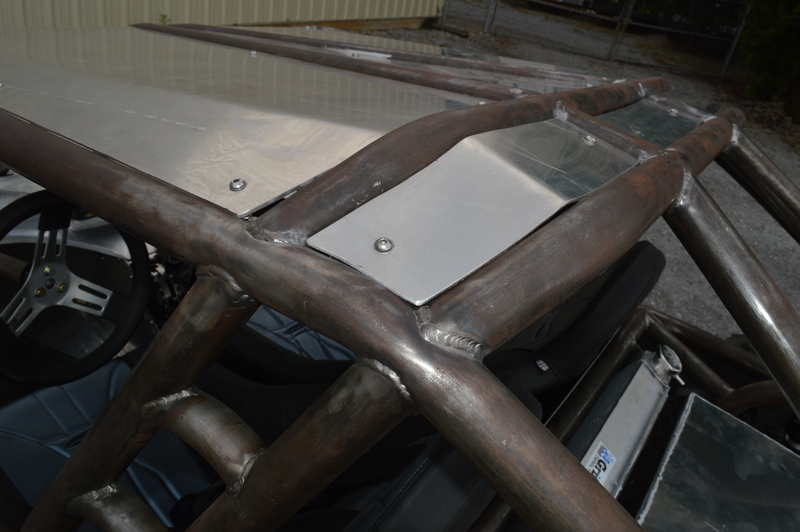 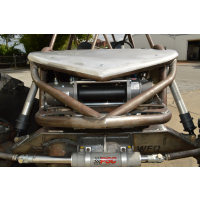 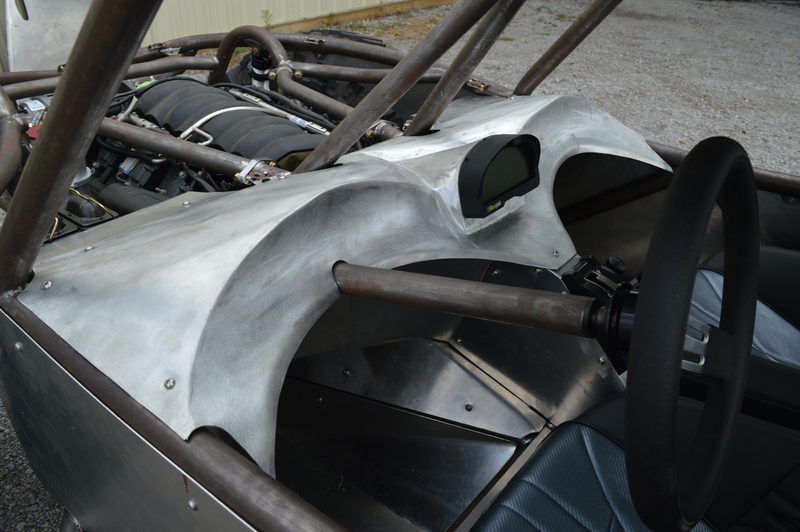 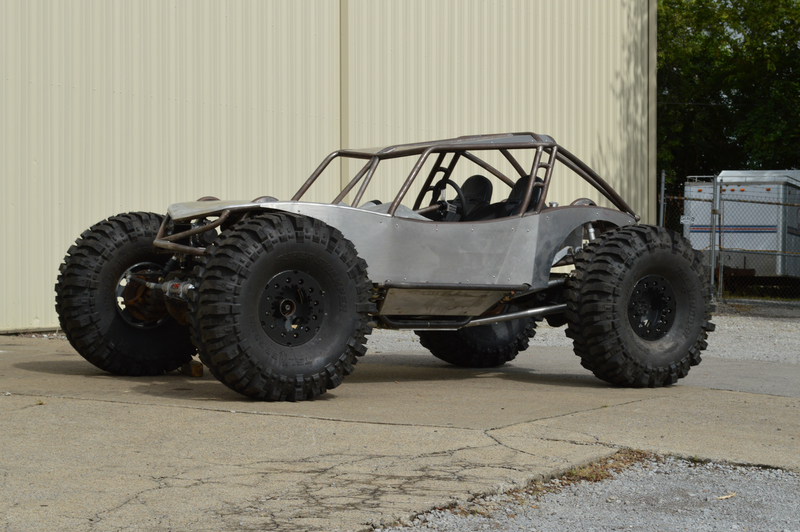 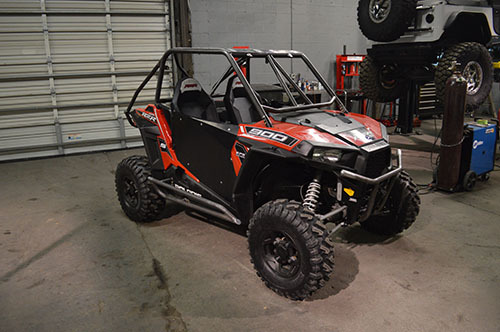 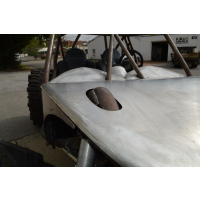 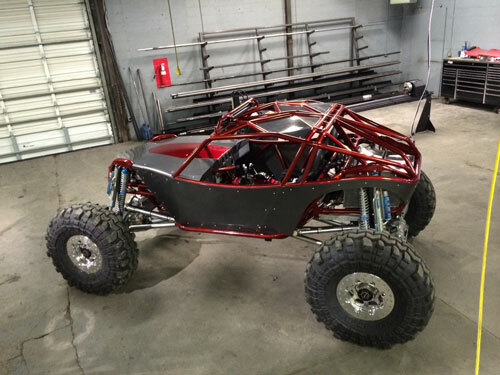 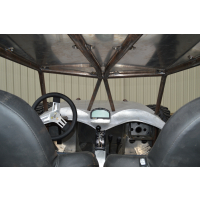 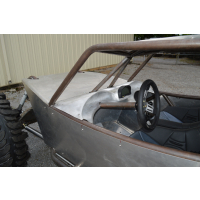 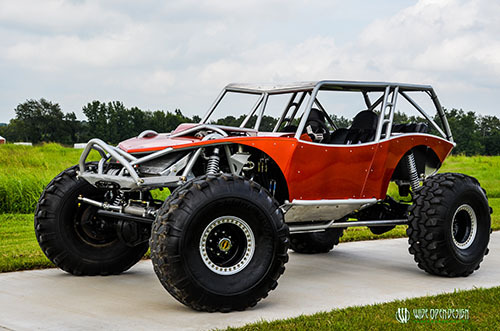 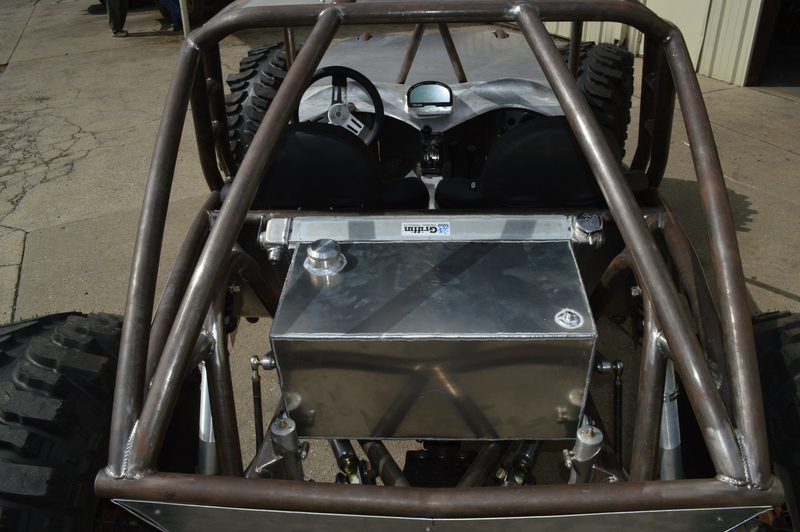 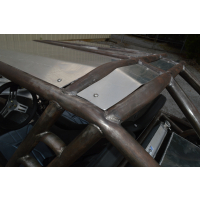 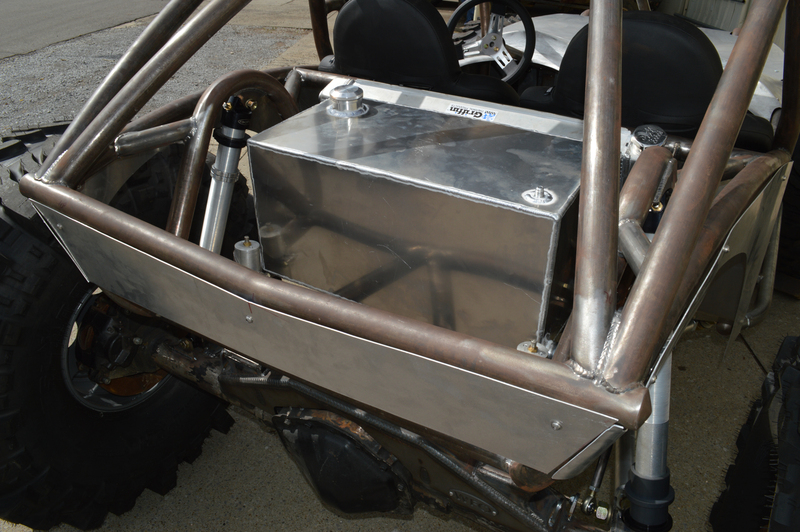 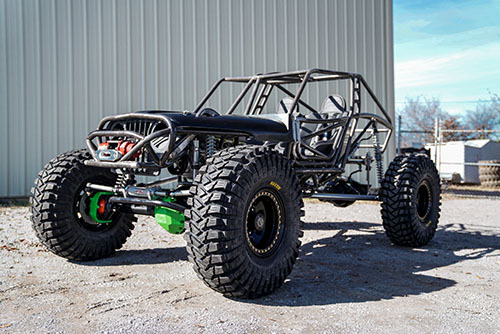 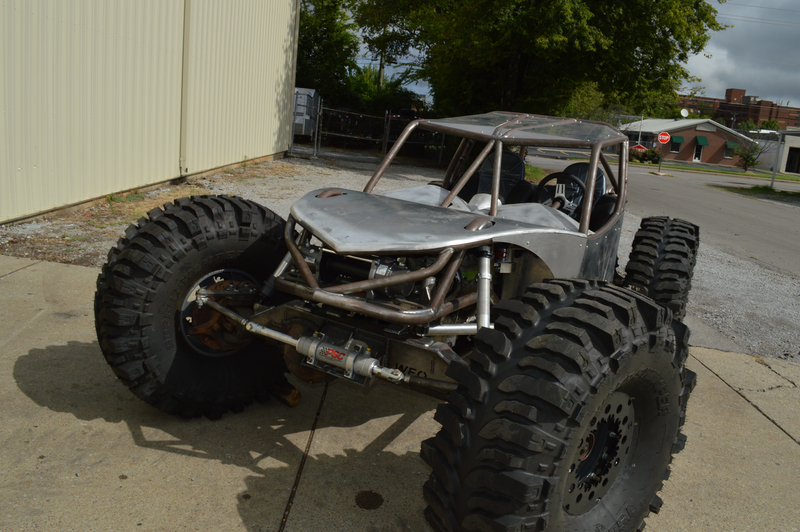 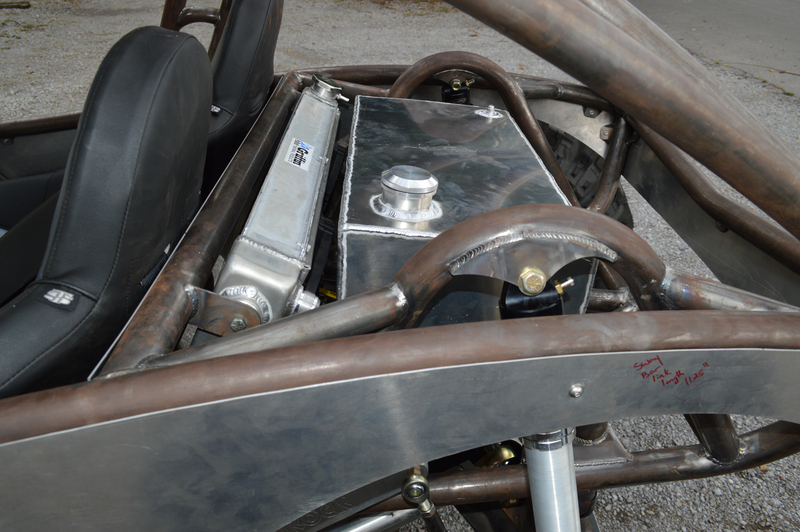 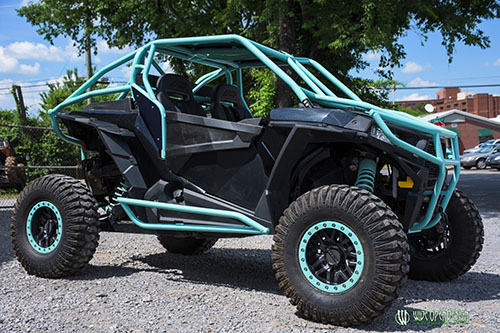 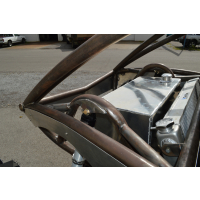 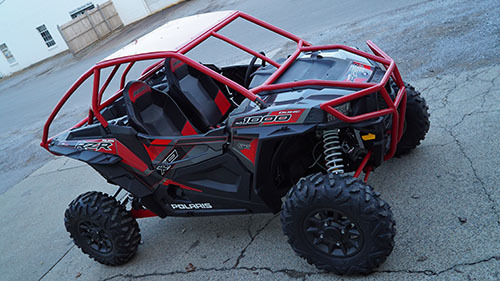 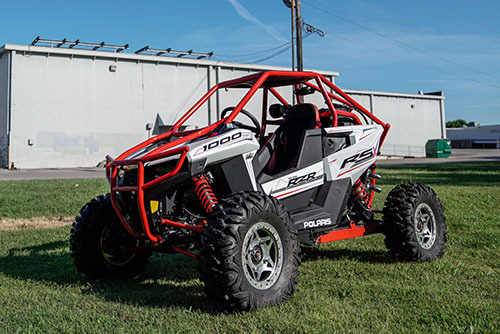 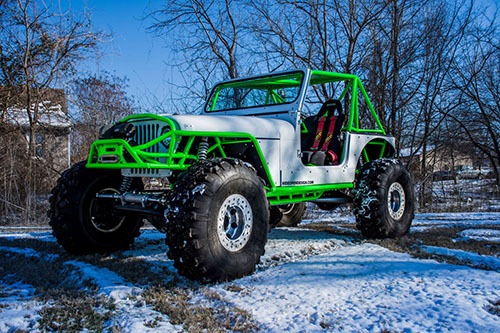 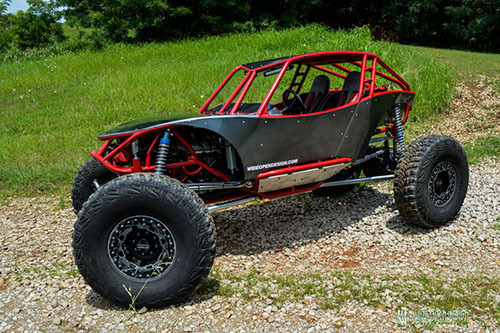 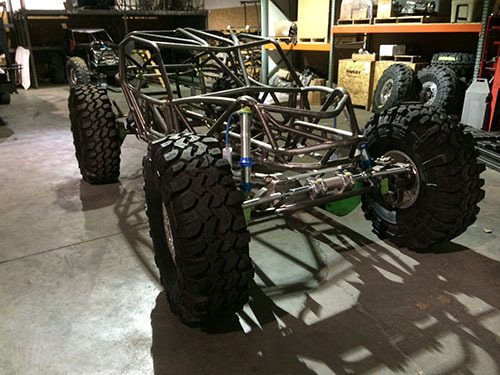 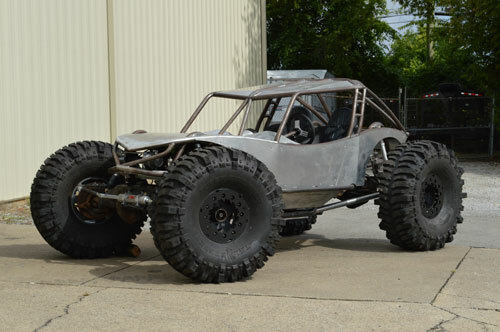 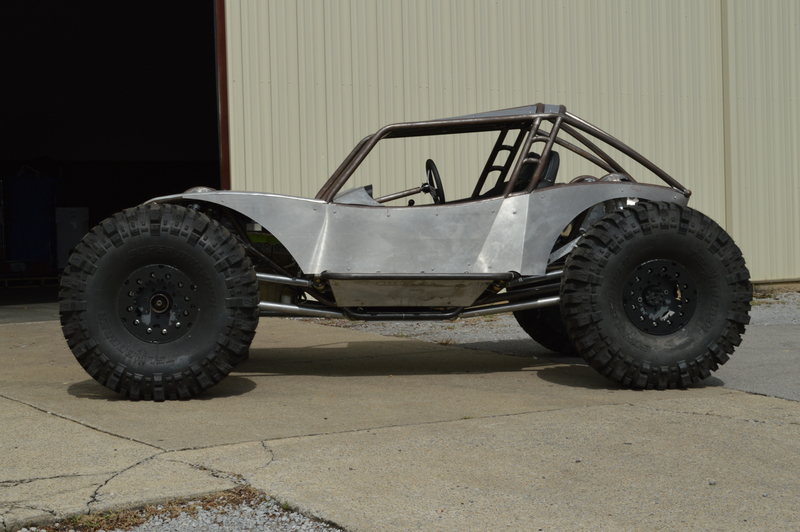 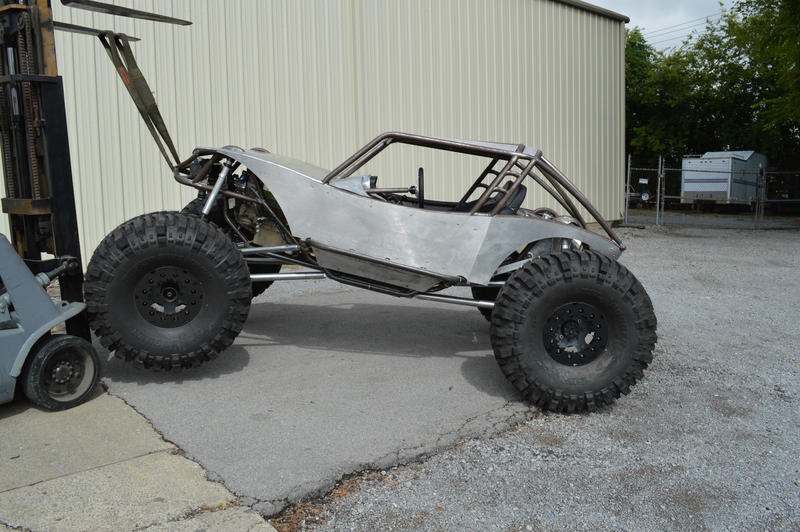 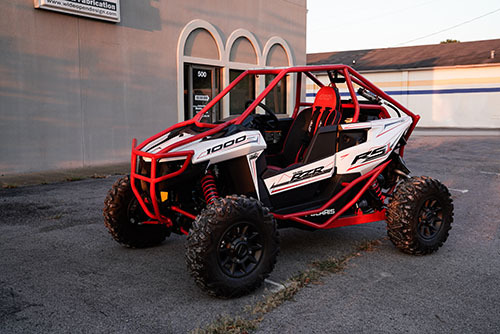 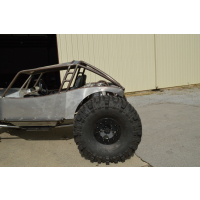 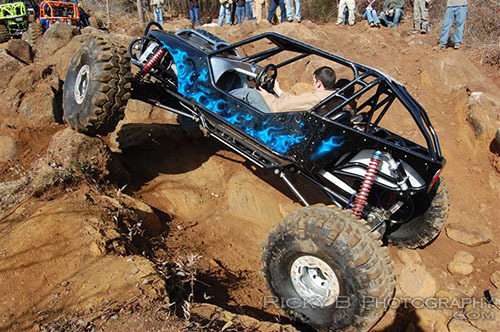 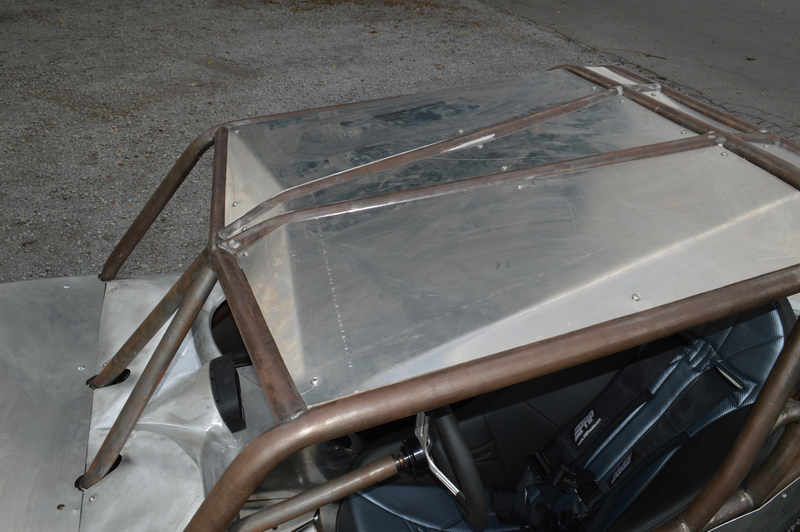 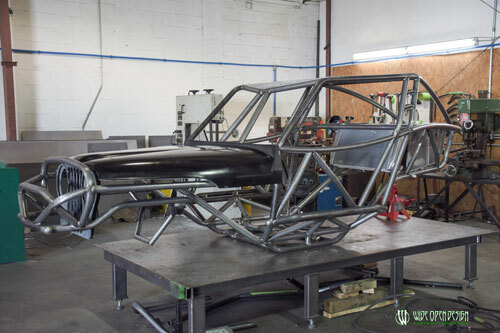 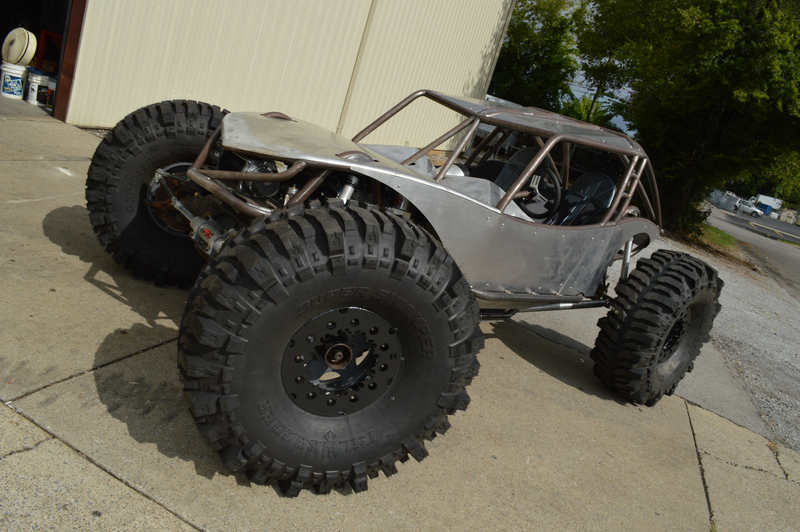 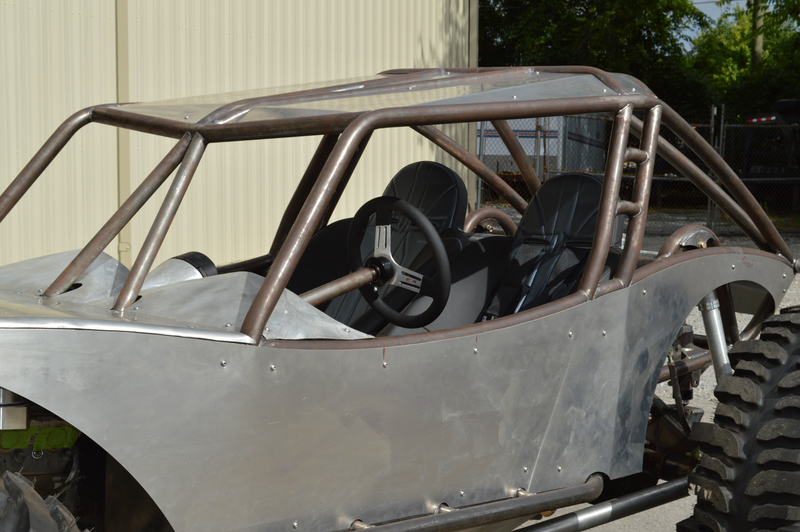 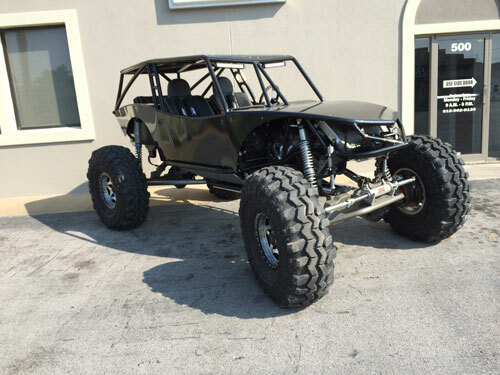 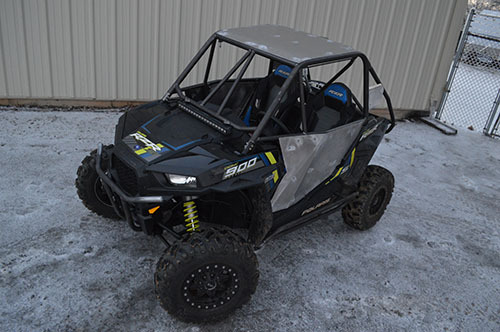 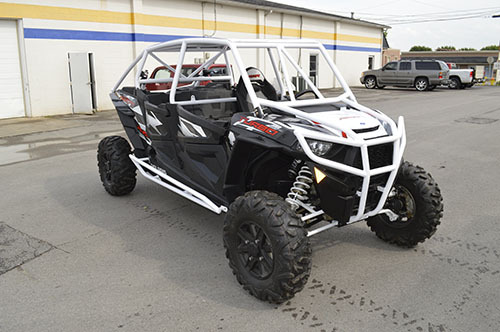 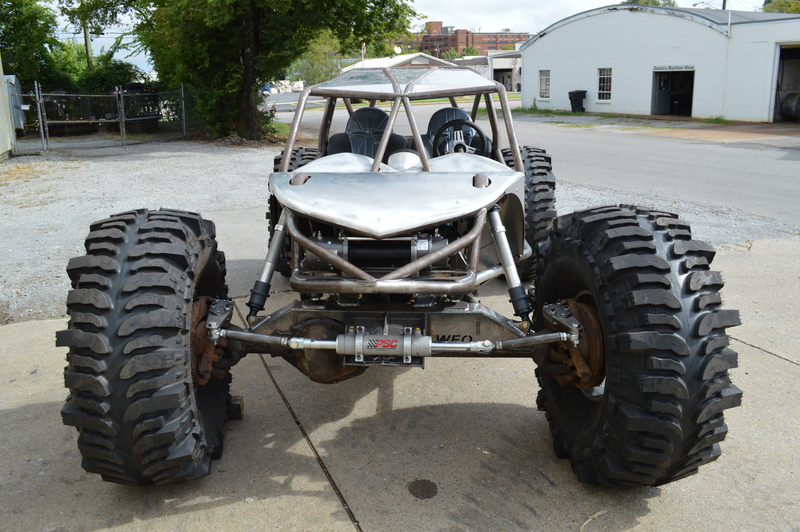 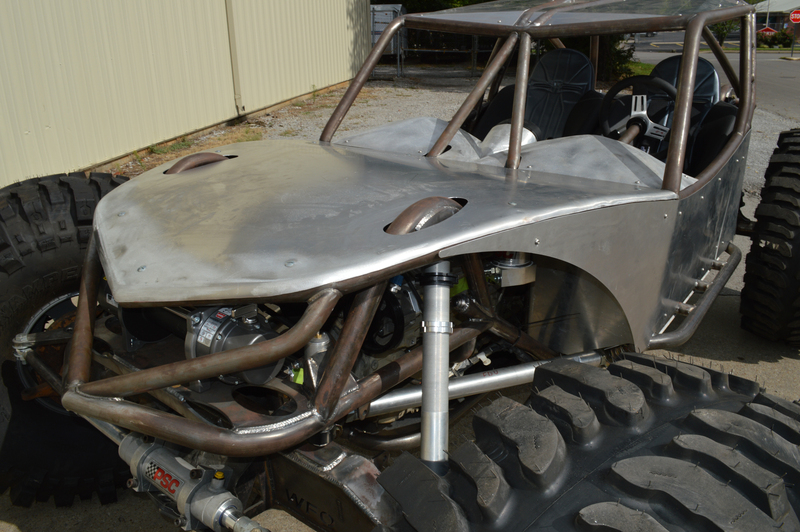 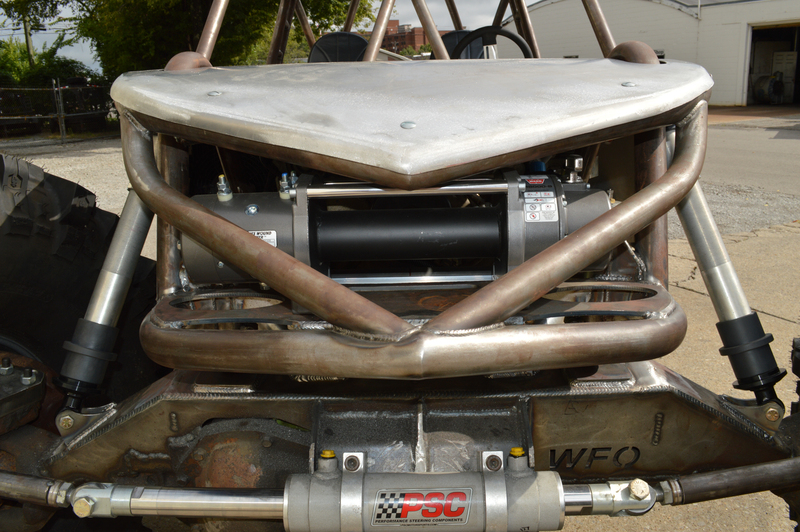 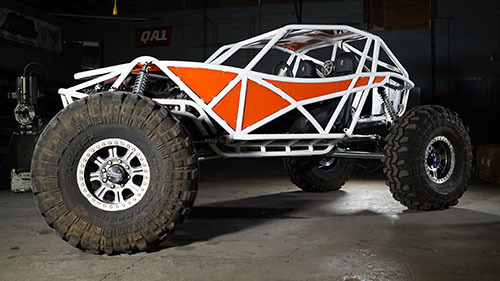 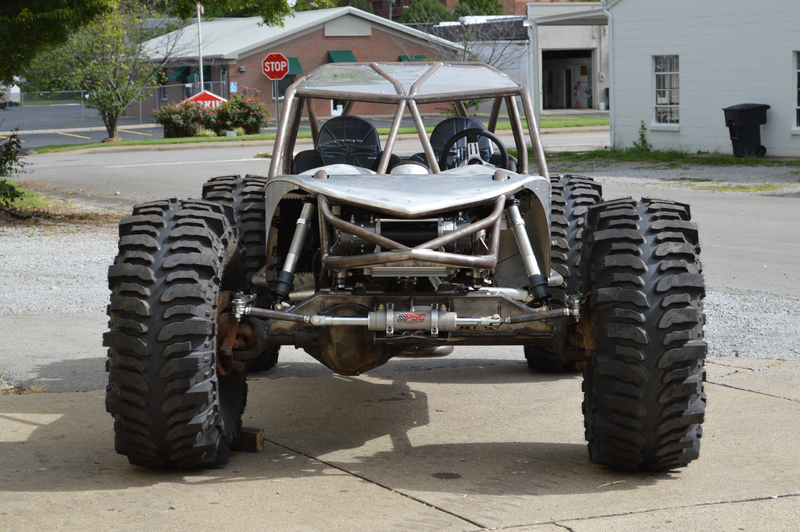 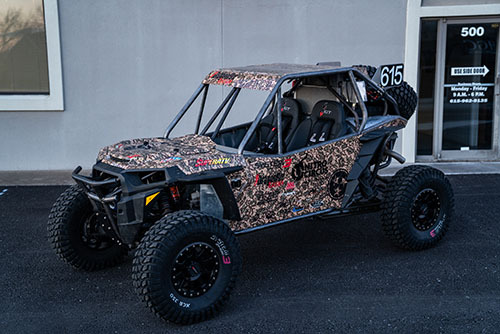 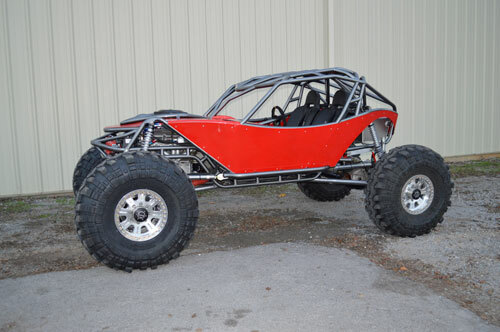 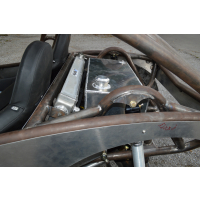 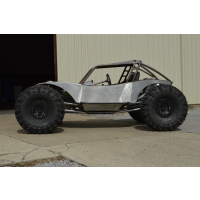 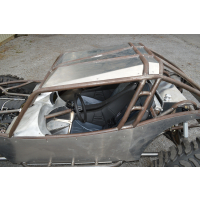 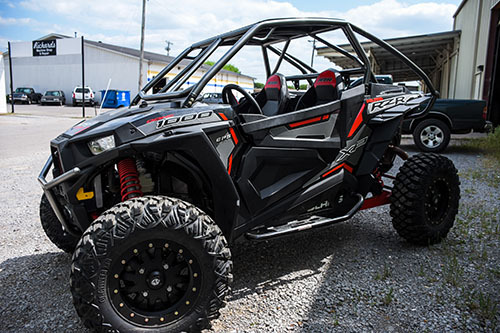 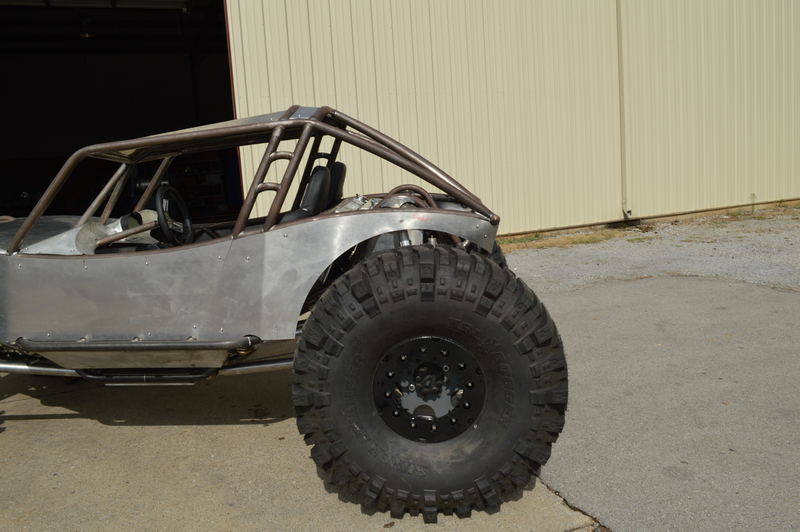 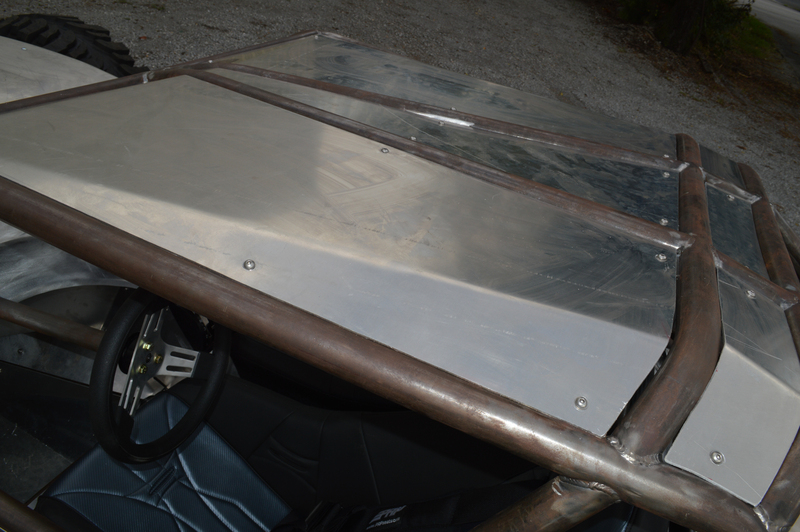 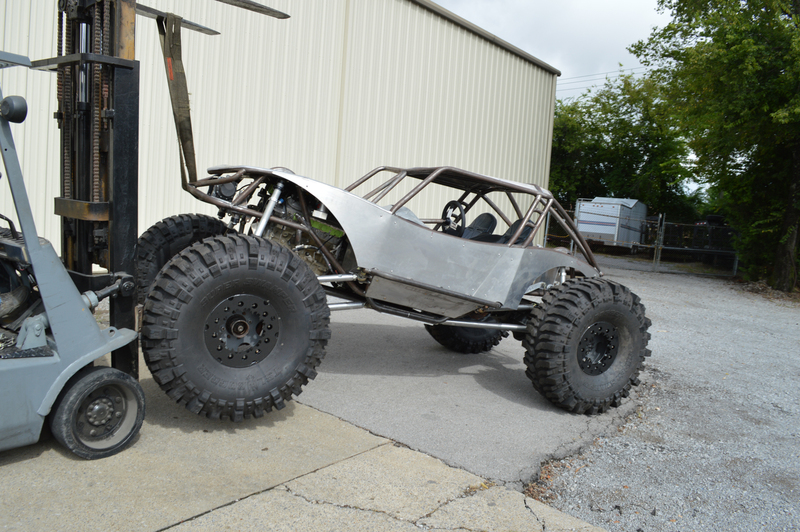 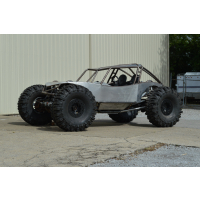 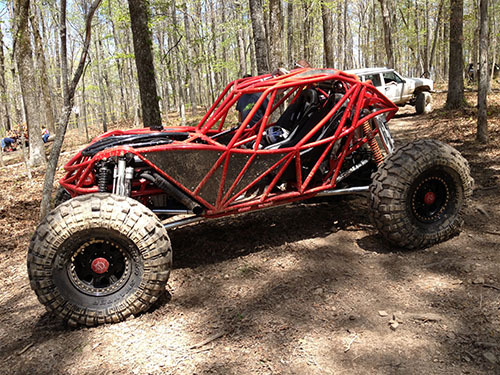 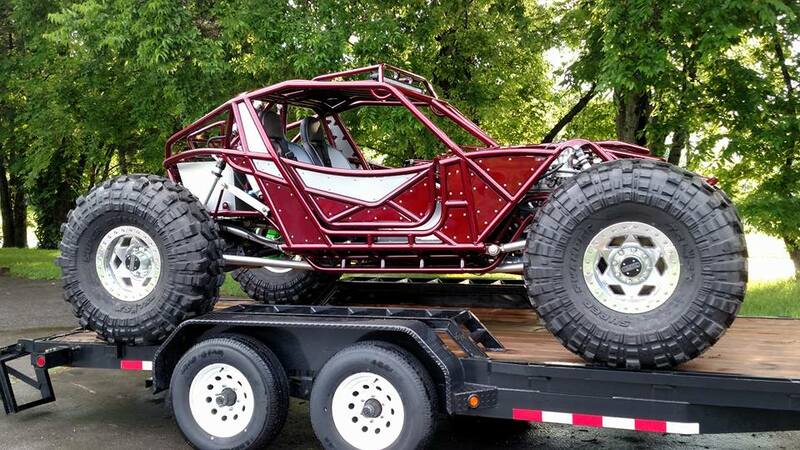 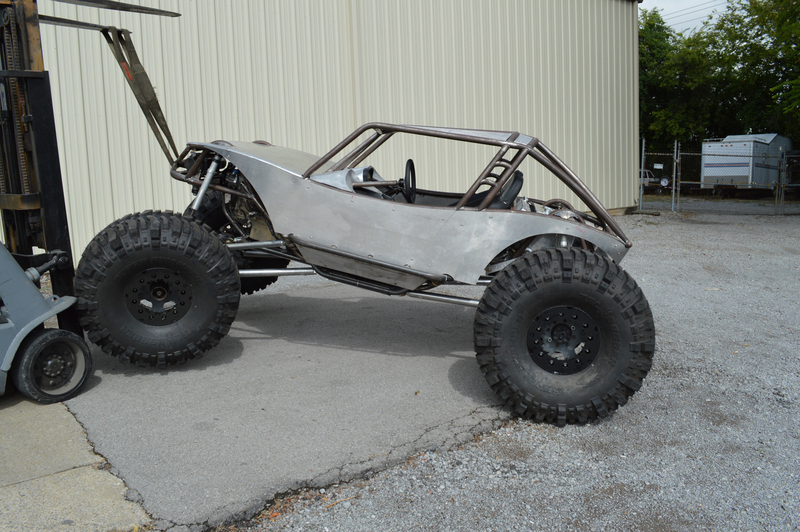 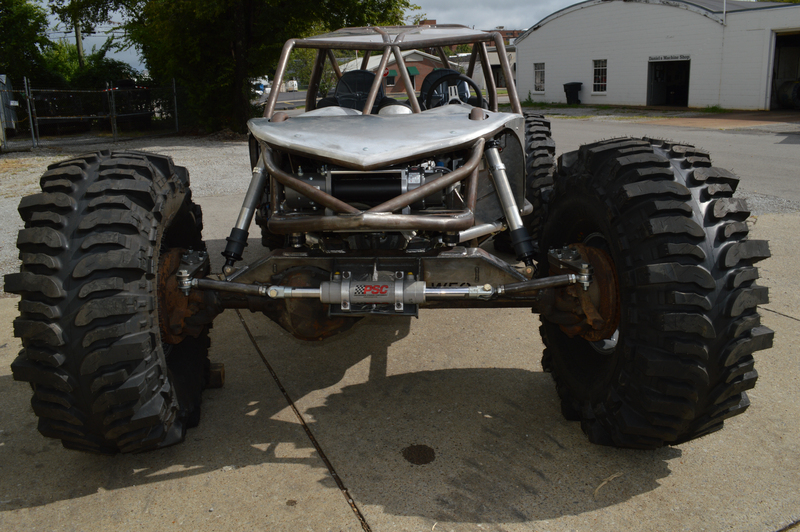 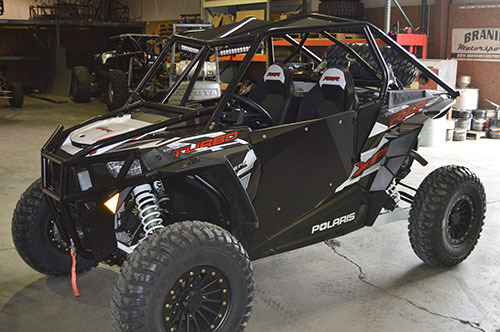 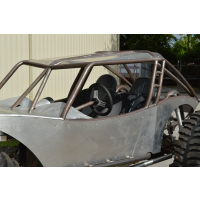 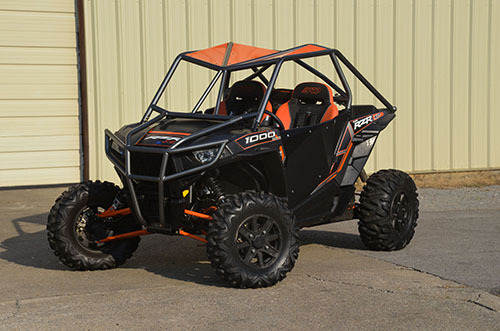 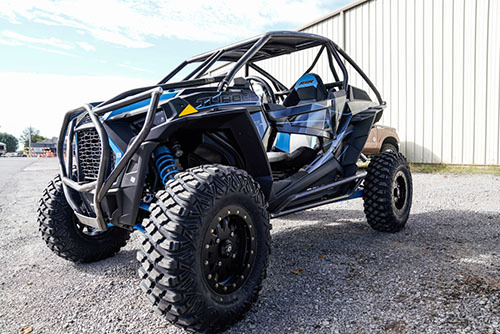 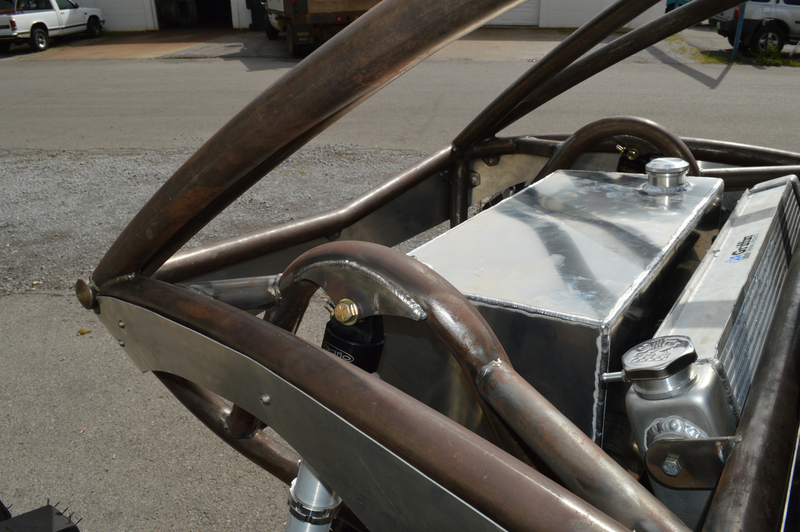 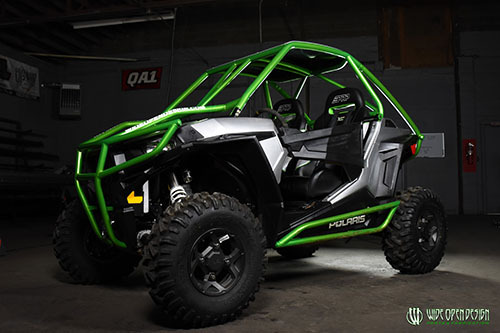 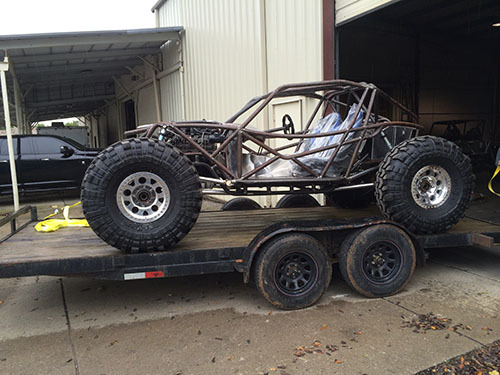 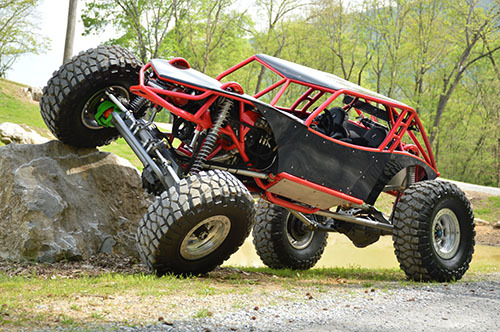 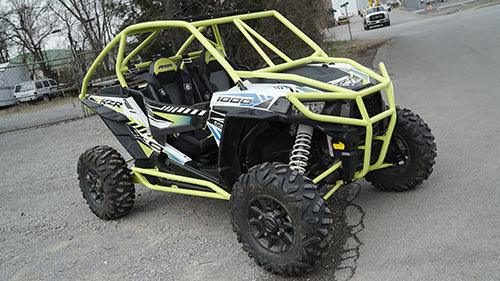 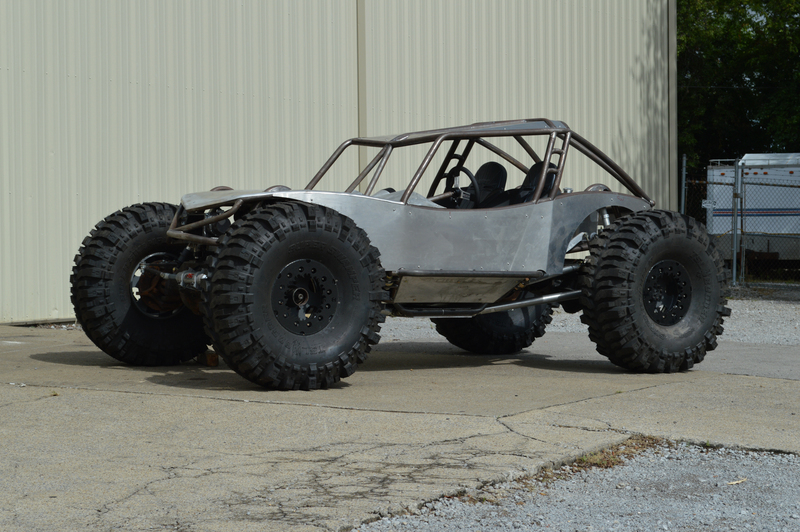 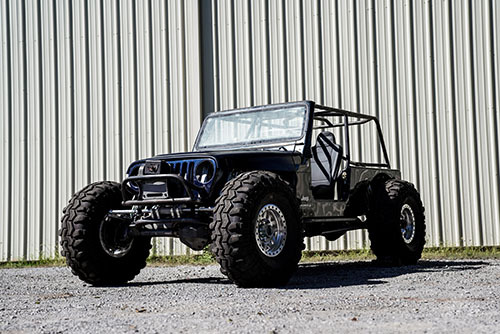 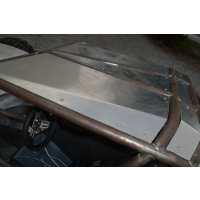 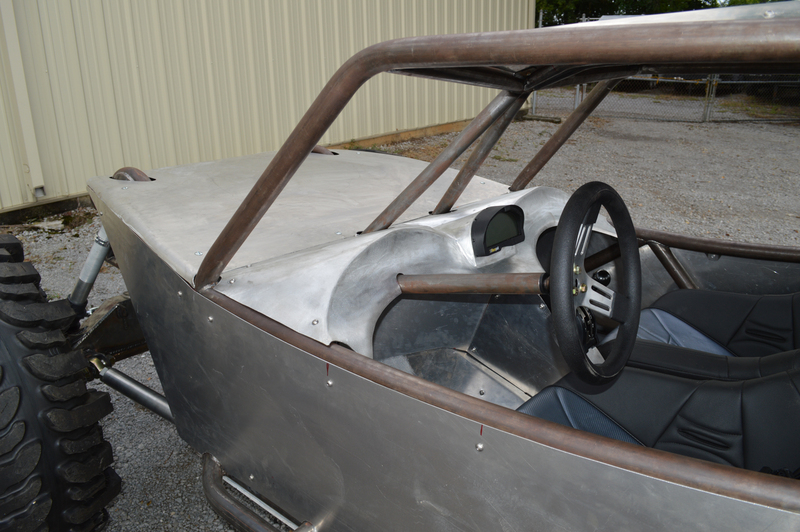 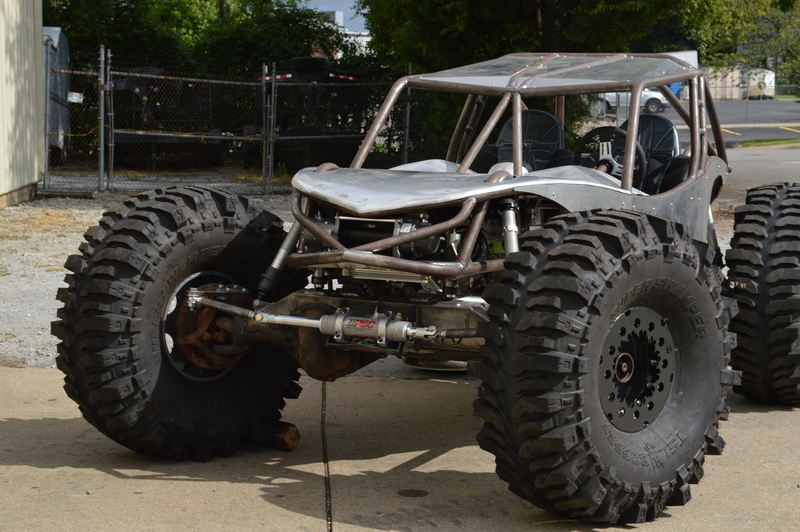 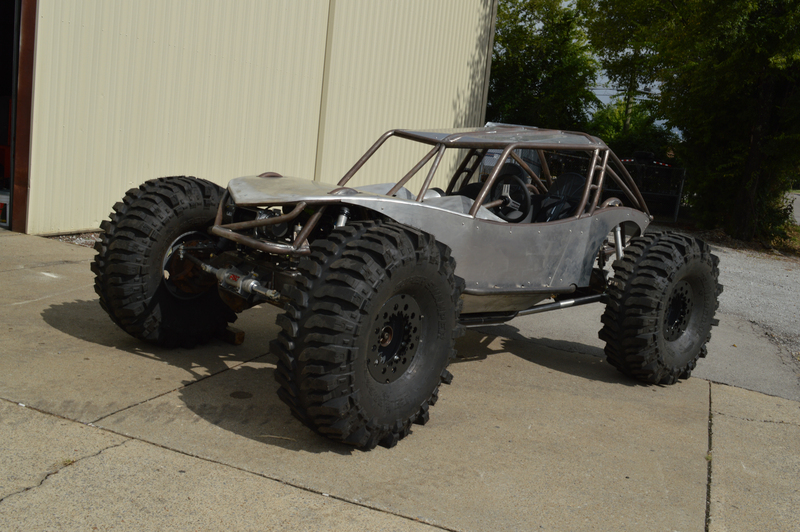 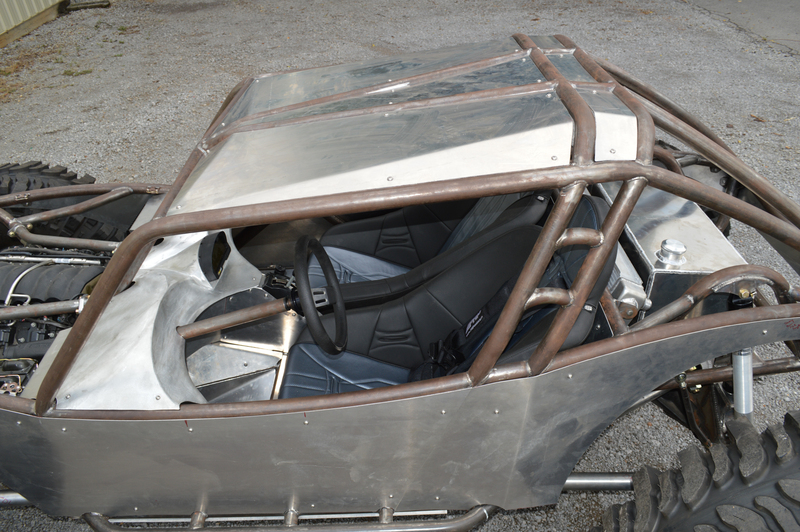 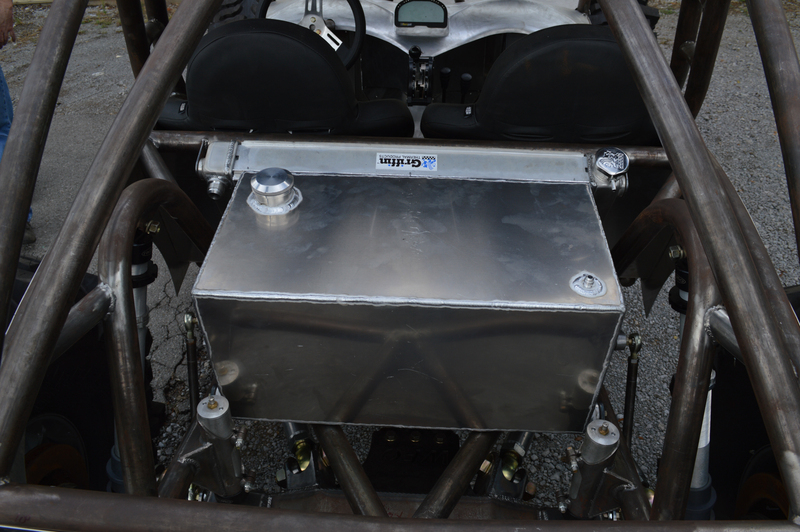 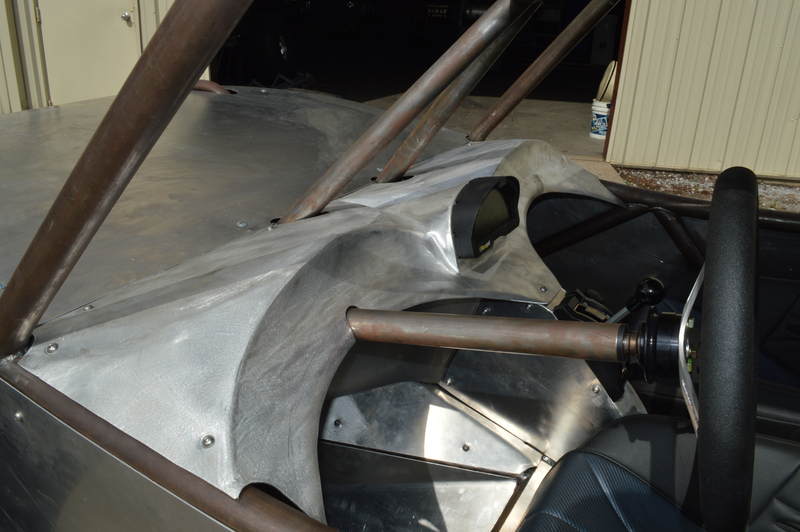 This 2015 Evolution chassis with custom roof and panels was built for Eric Mckinney of Ohio. 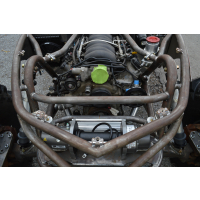 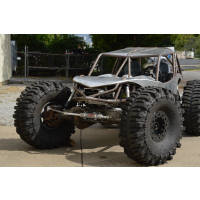 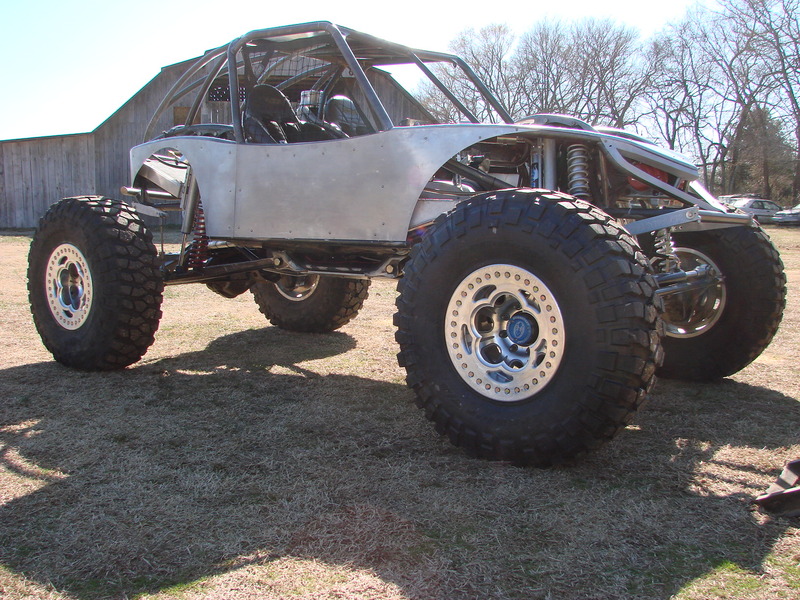 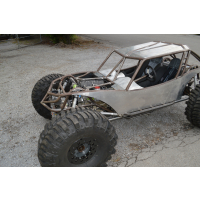 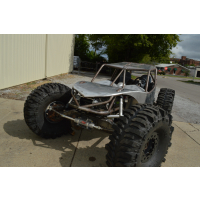 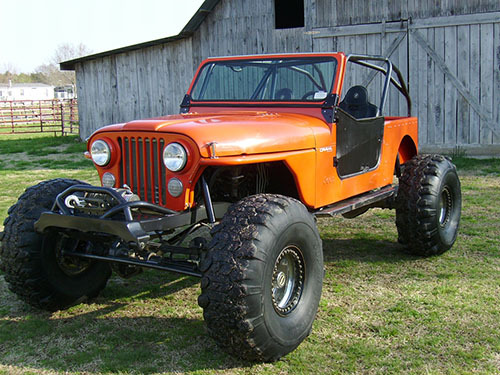 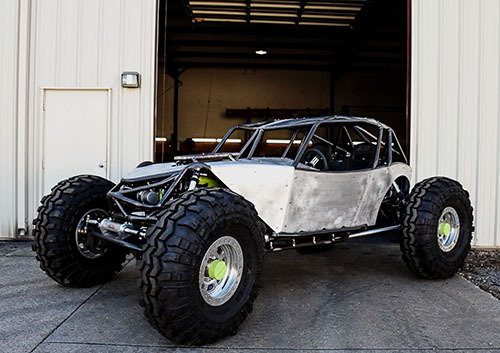 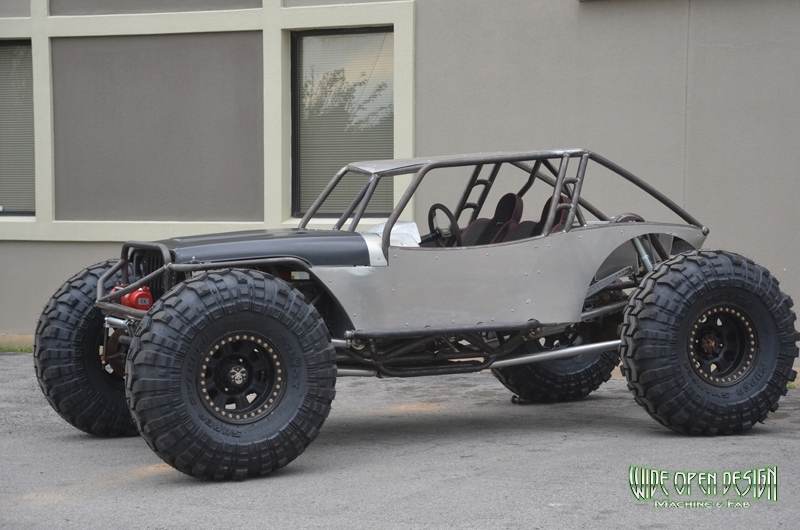 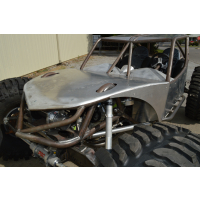 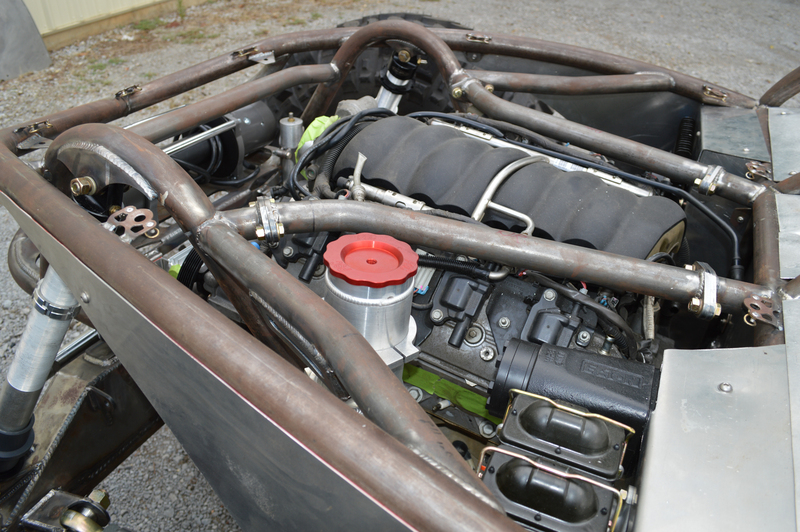 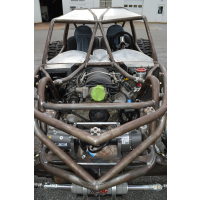 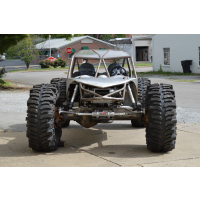 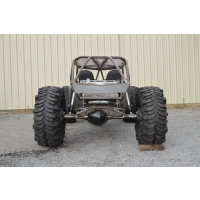 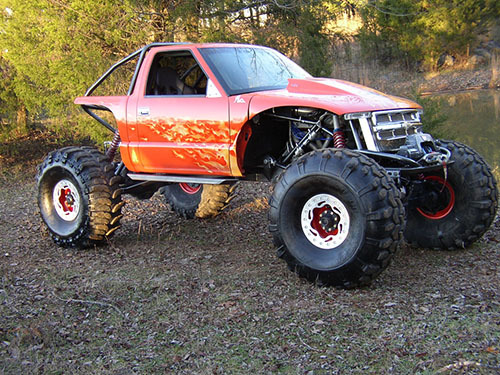 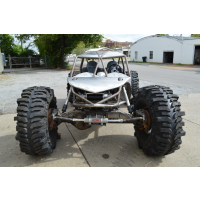 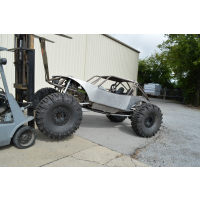 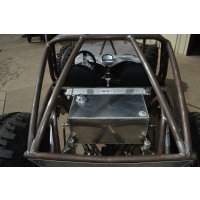 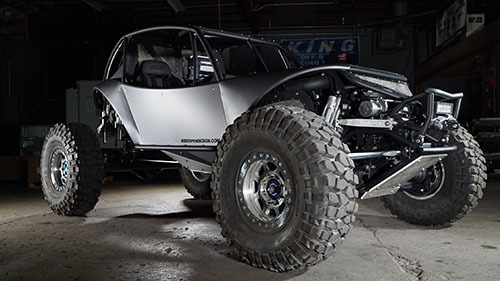 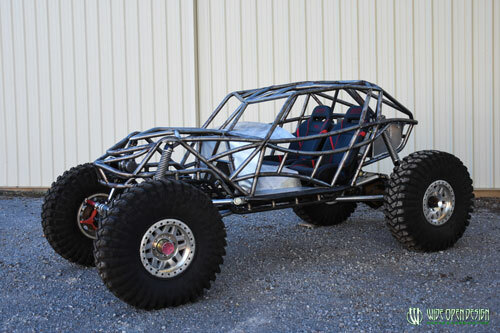 The rig features an LS3 with Mast Motorsports Performance Package, TH400 transmission with Winters Shifter, and Atlas 3.0:1 transfer case. 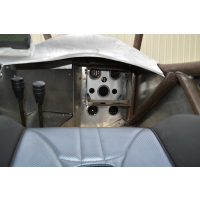 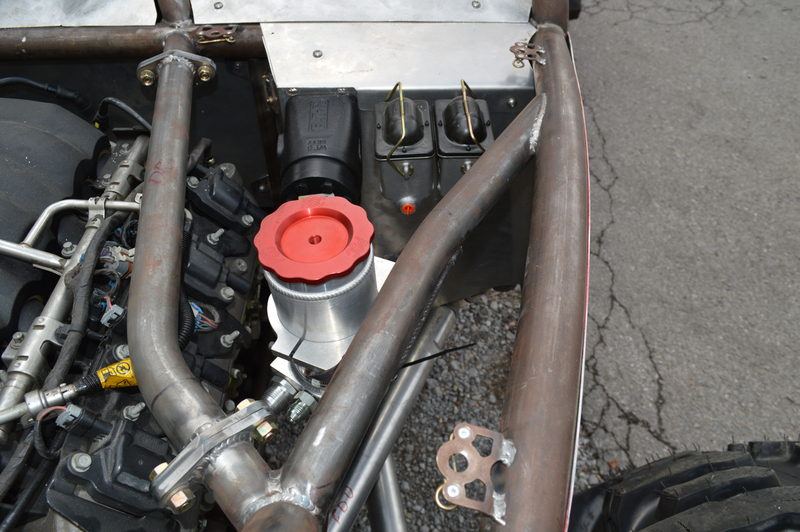 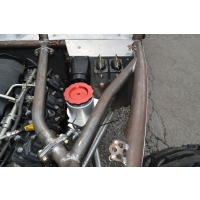 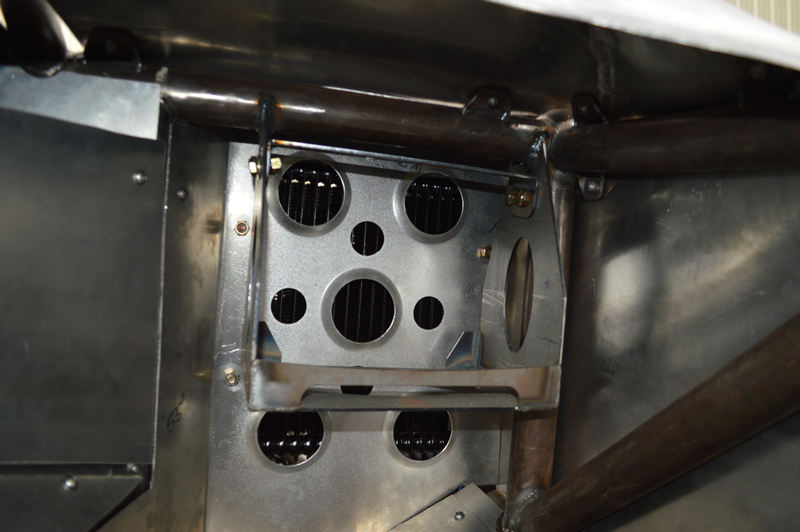 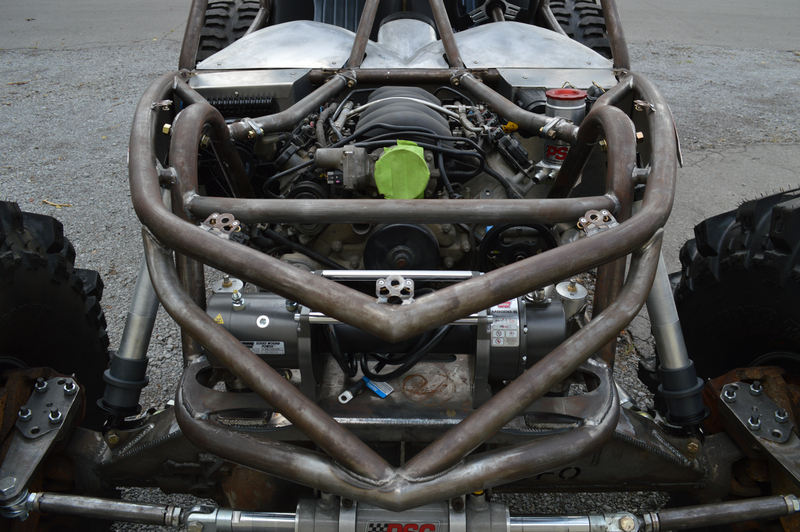 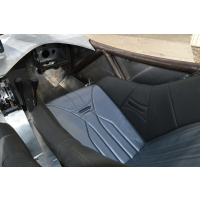 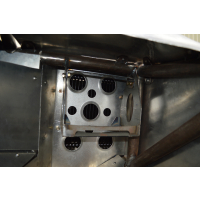 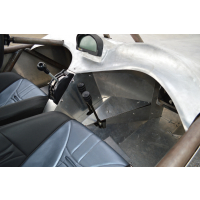 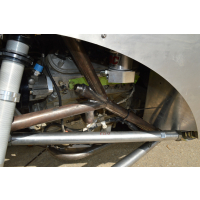 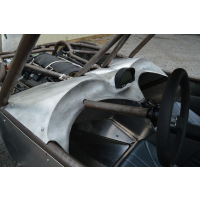 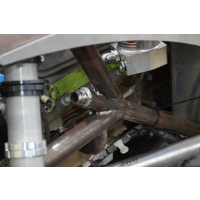 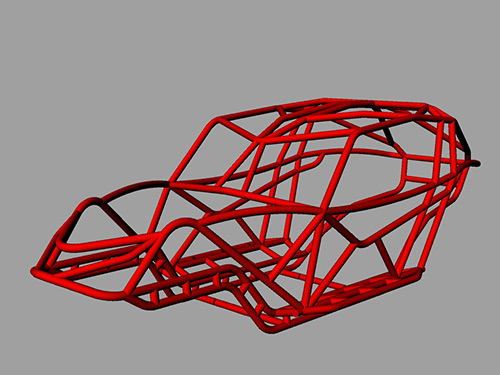 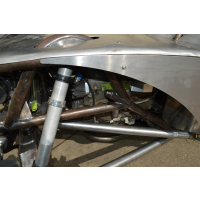 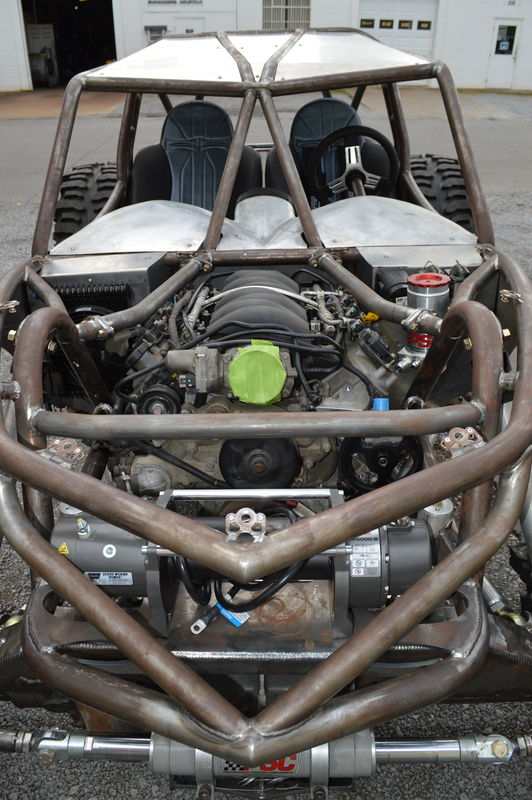 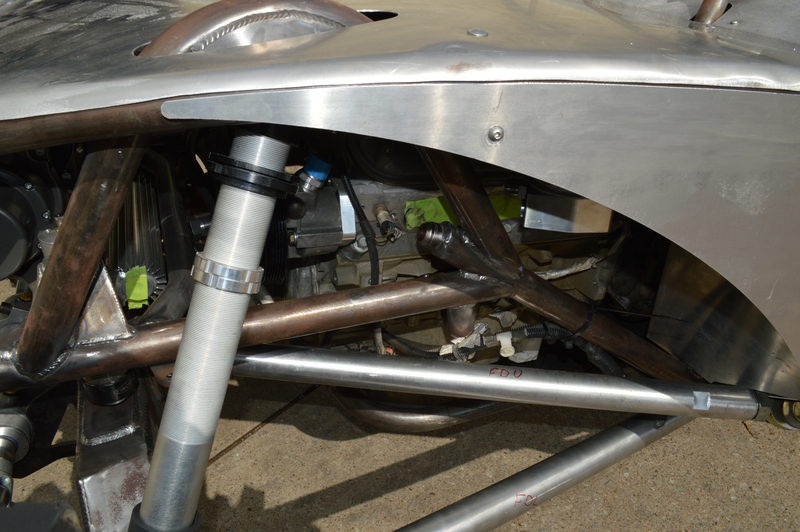 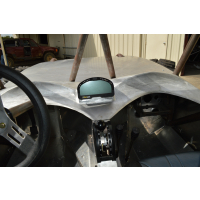 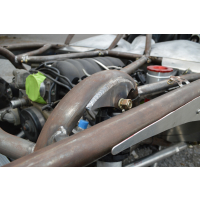 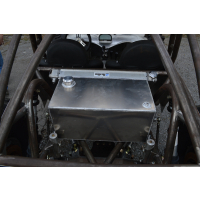 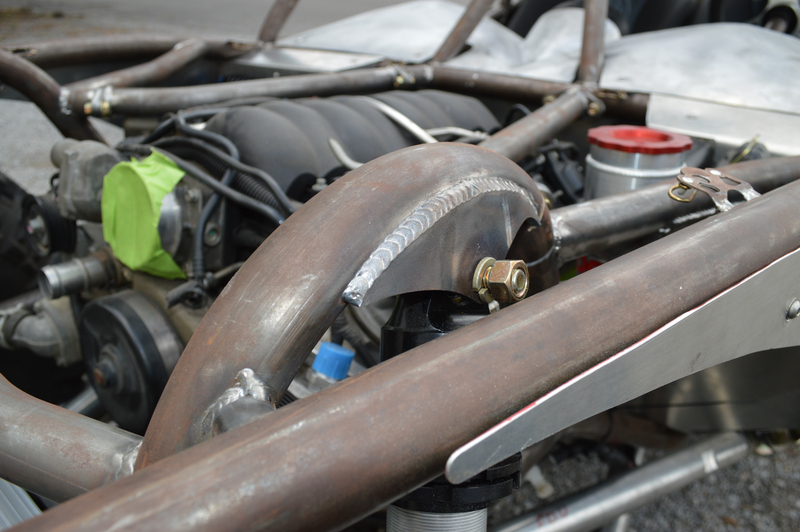 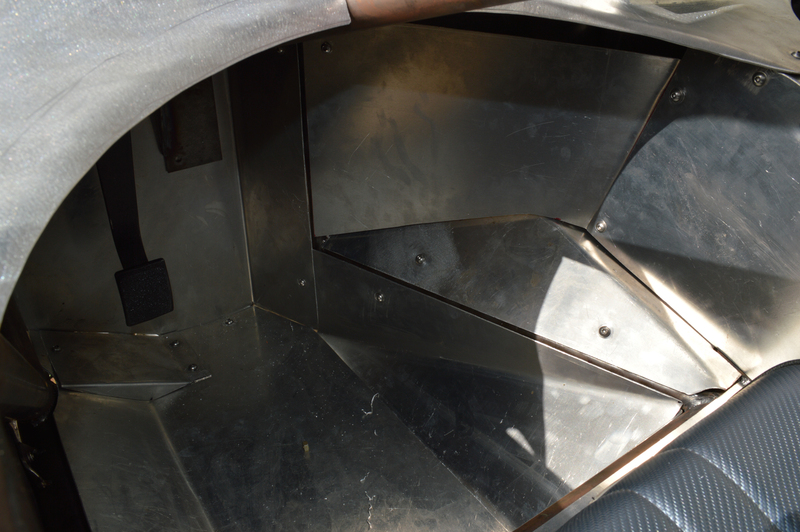 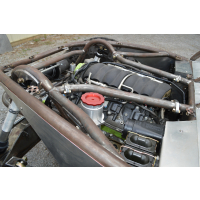 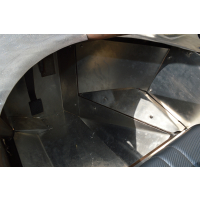 The drivelines are 1410 with a Wide Open Design single-ended carrier bearing on the front. 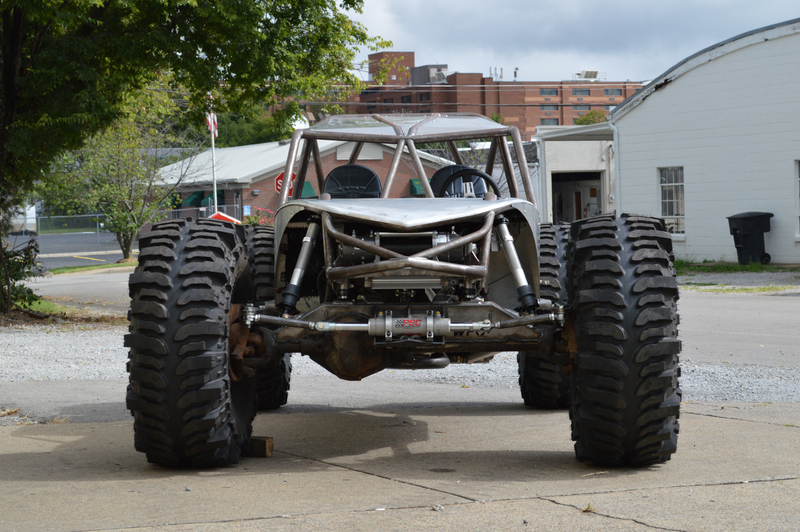 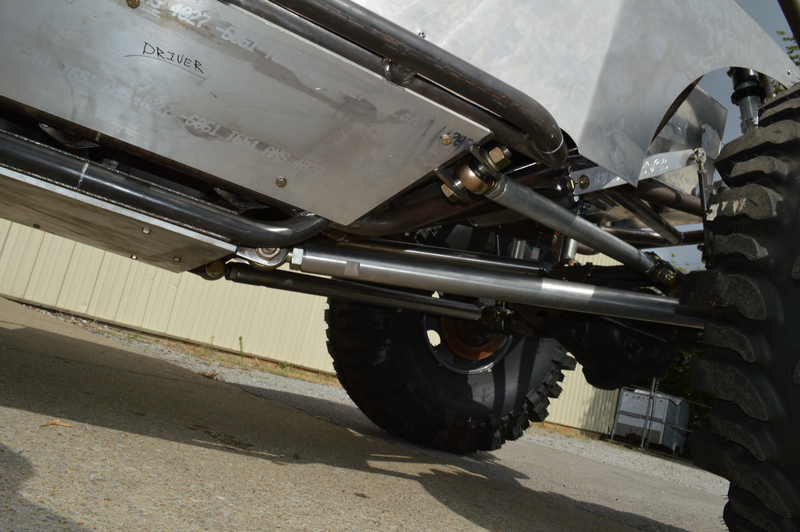 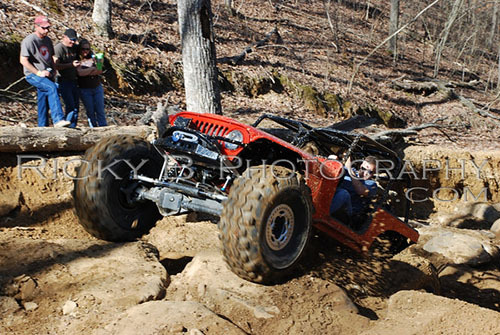 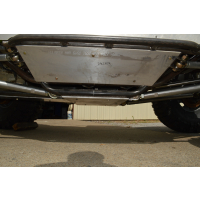 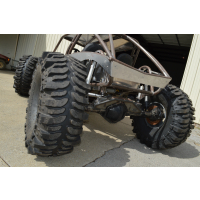 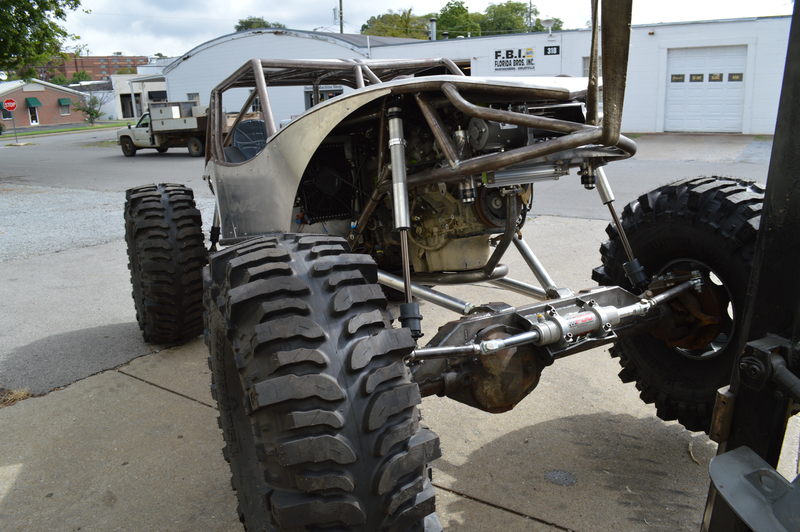 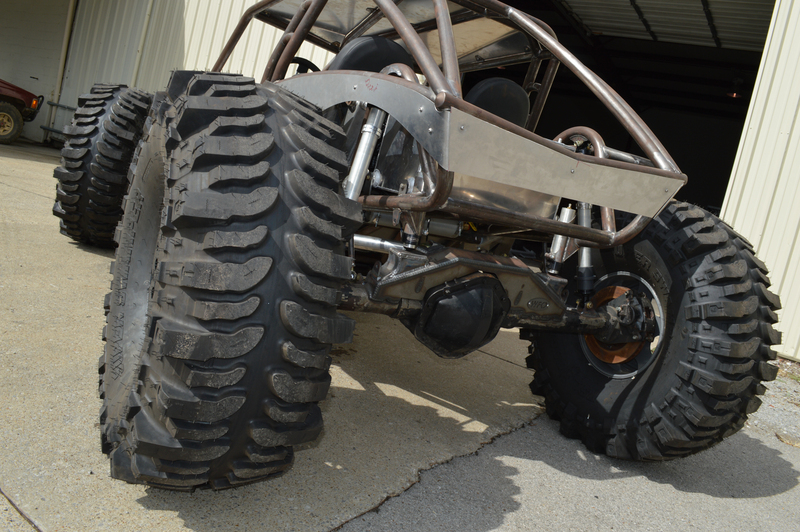 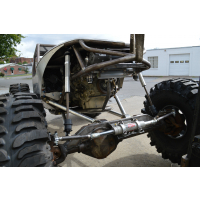 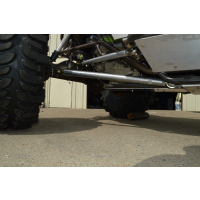 Axles are GM Dana 60 front and 14 bolt rear turning some new 44" TSL Boggers on 16.5" double beadlocks. 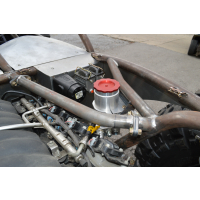 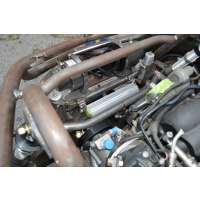 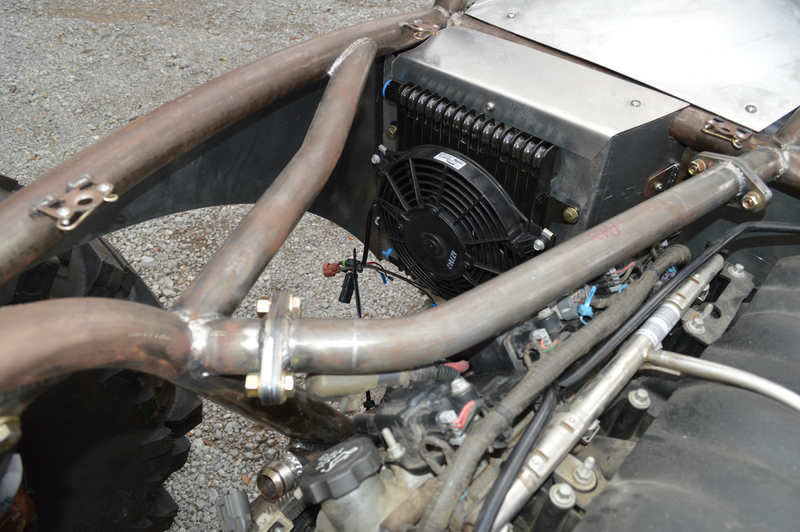 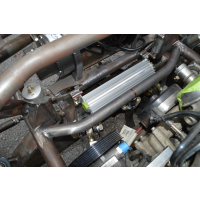 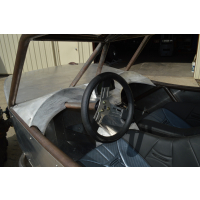 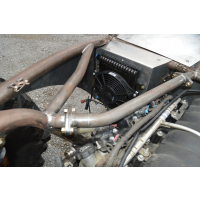 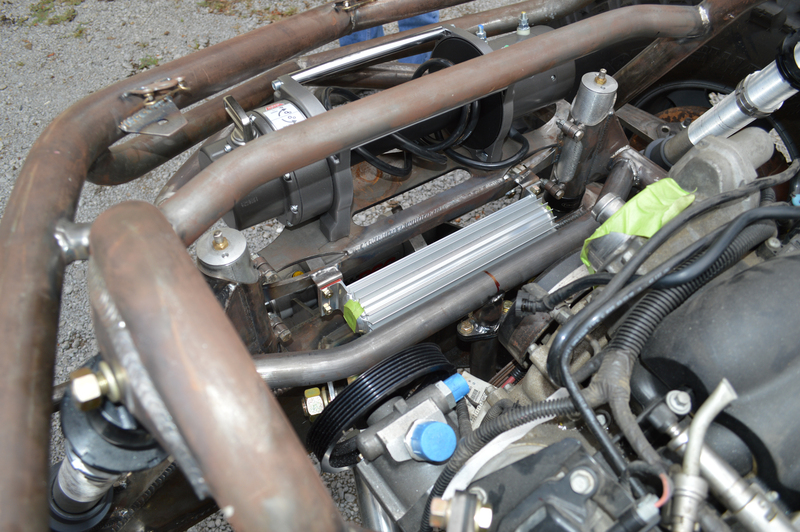 Steering is the PSC 2.5"x8" Double Ended ram with CBR pump. 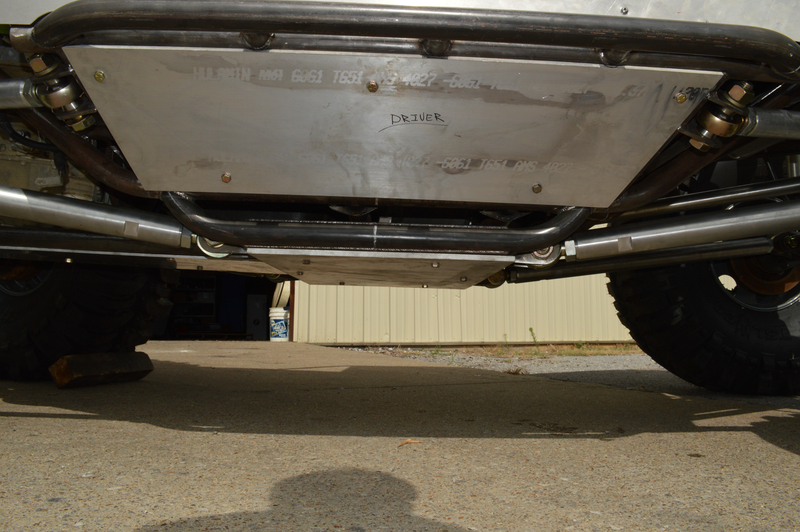 Radflo Coilovers front and rear with Radflo bumpstops. 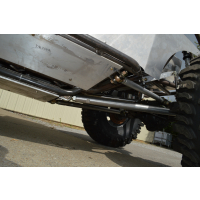 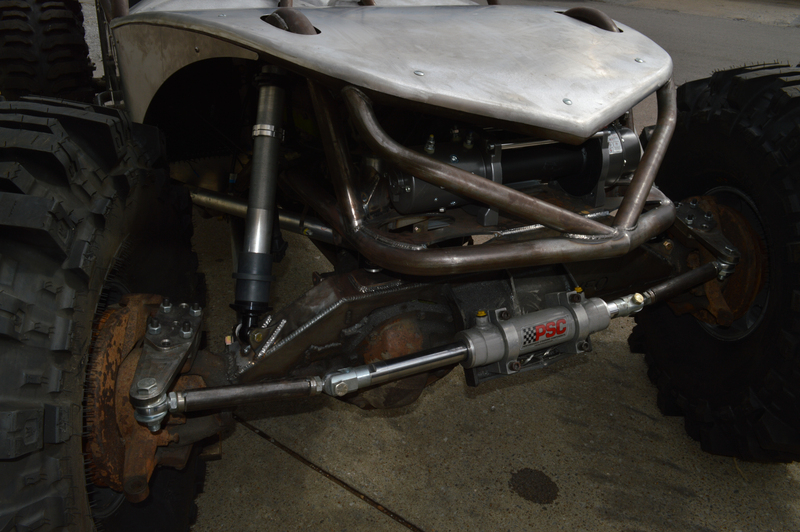 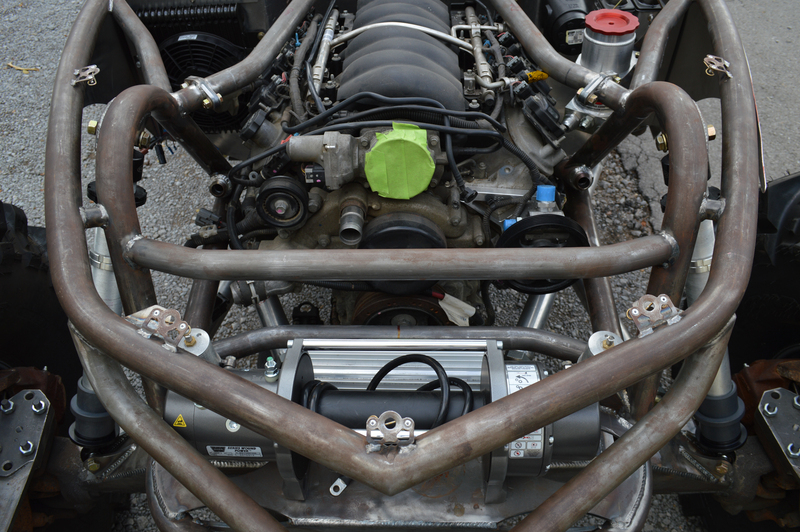 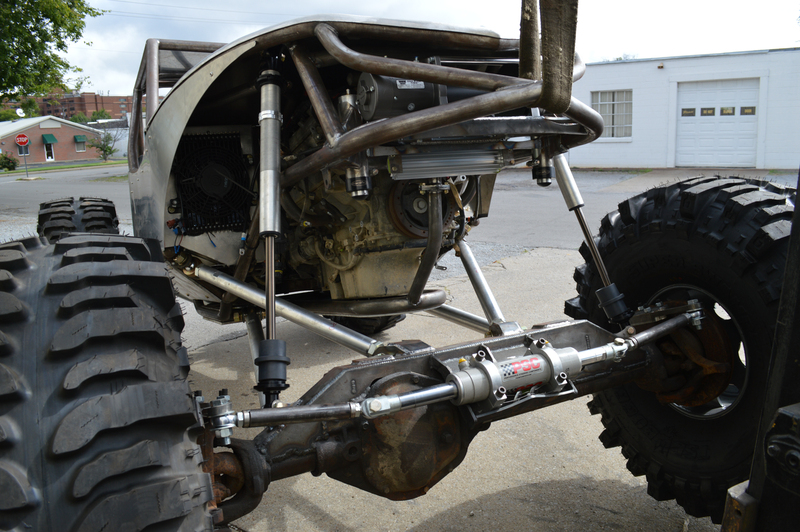 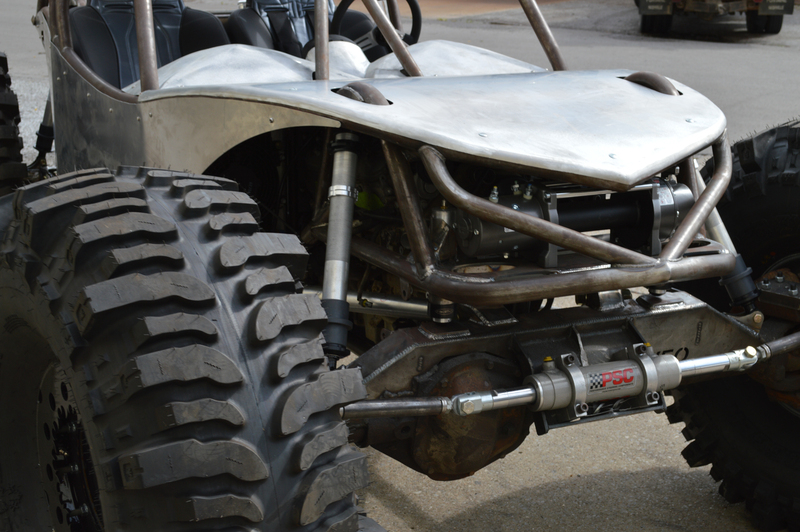 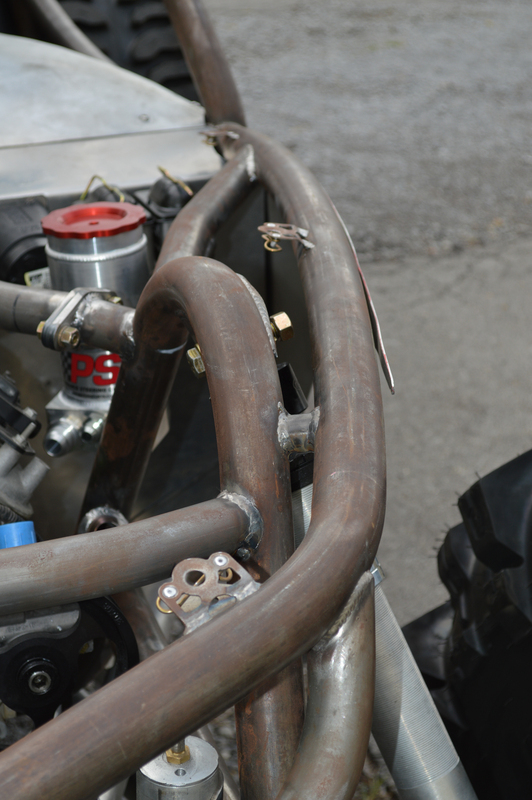 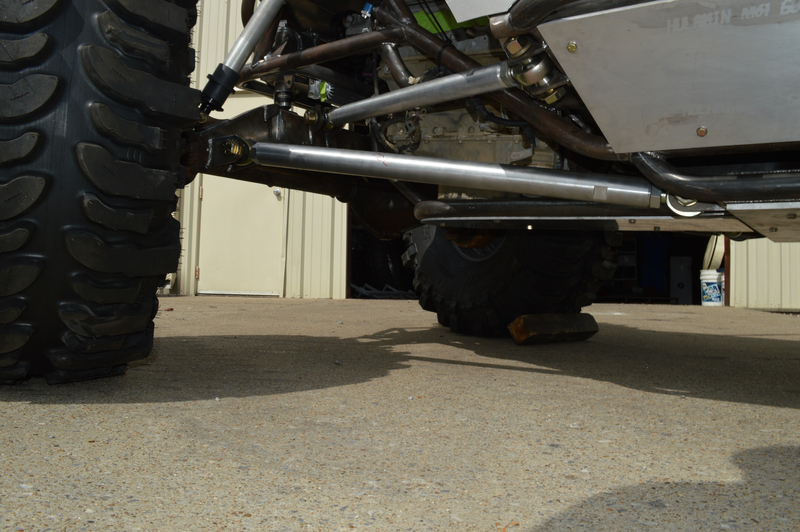 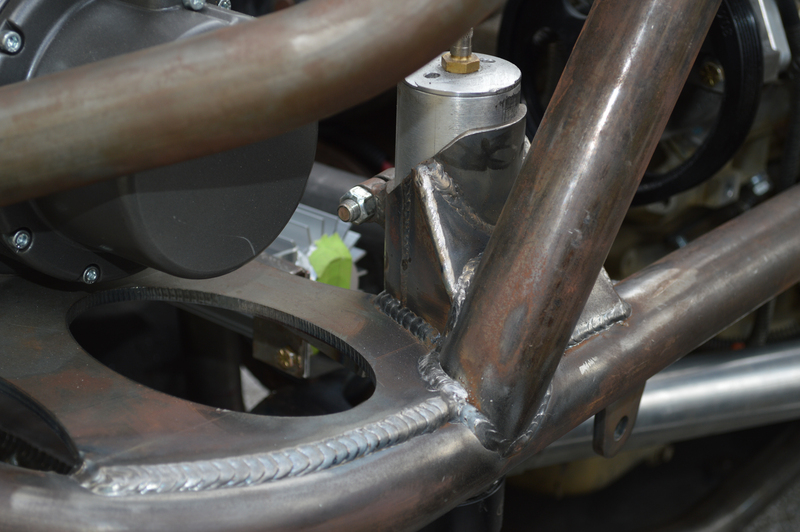 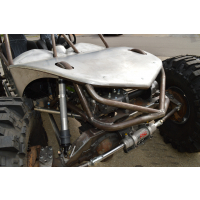 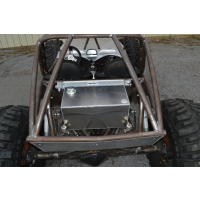 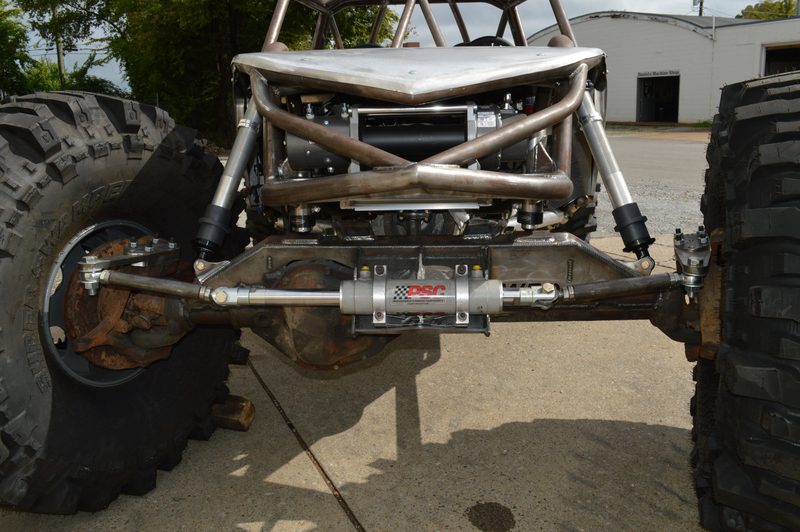 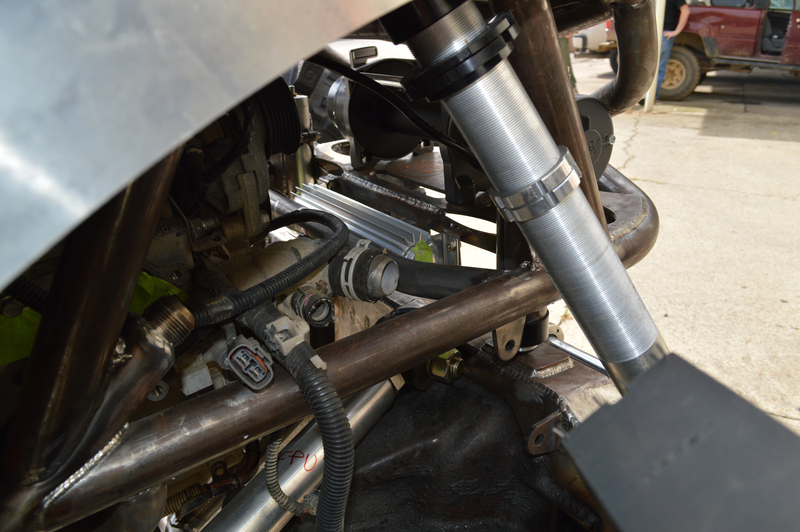 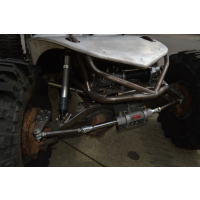 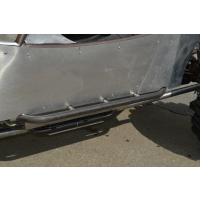 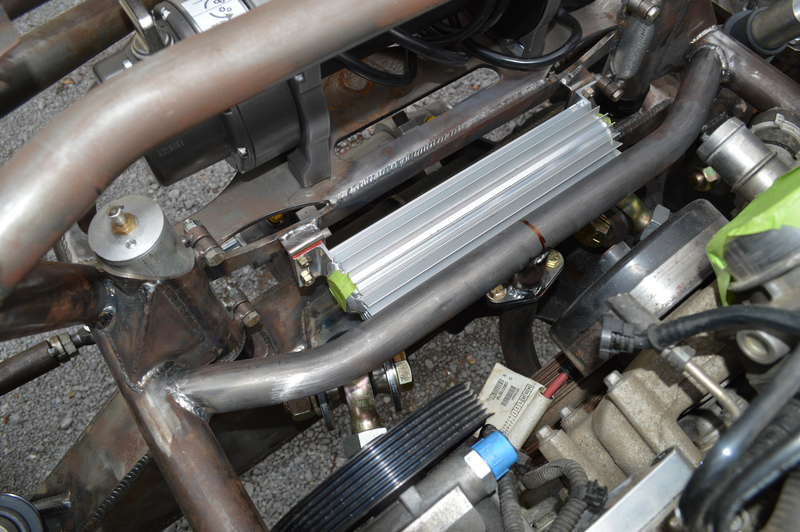 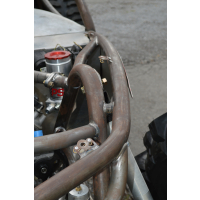 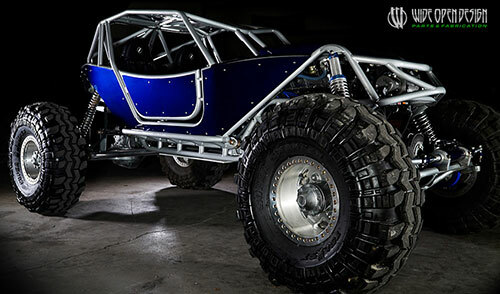 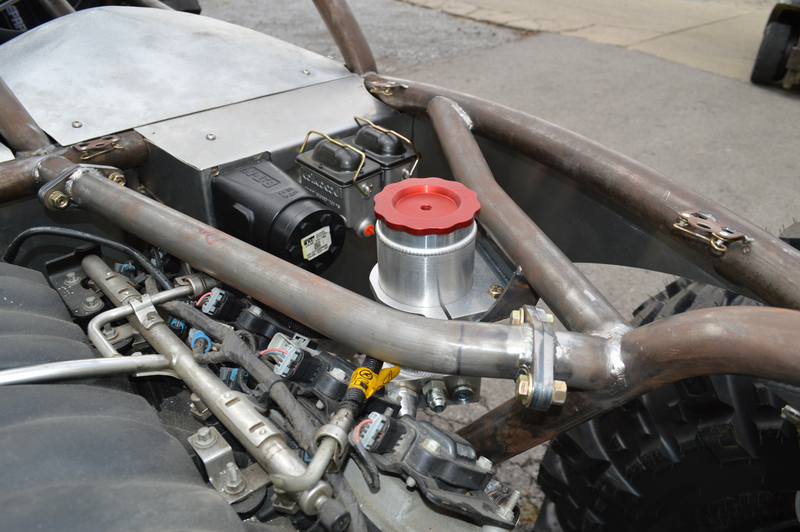 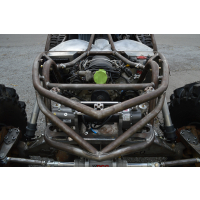 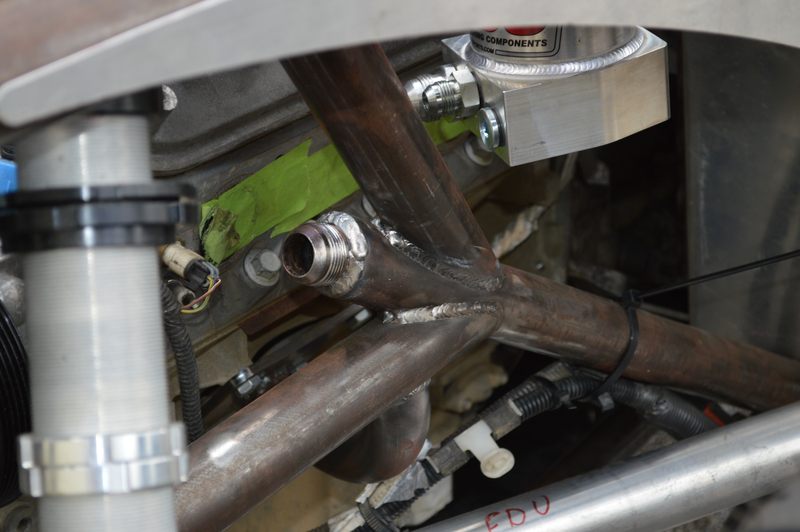 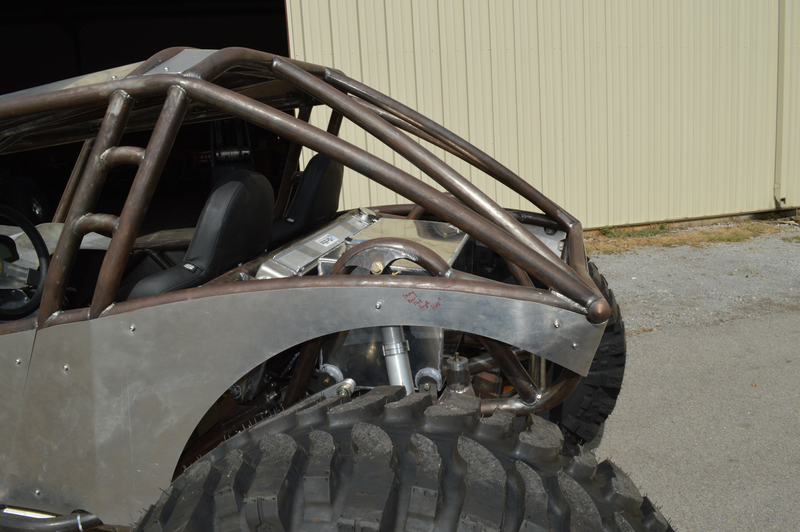 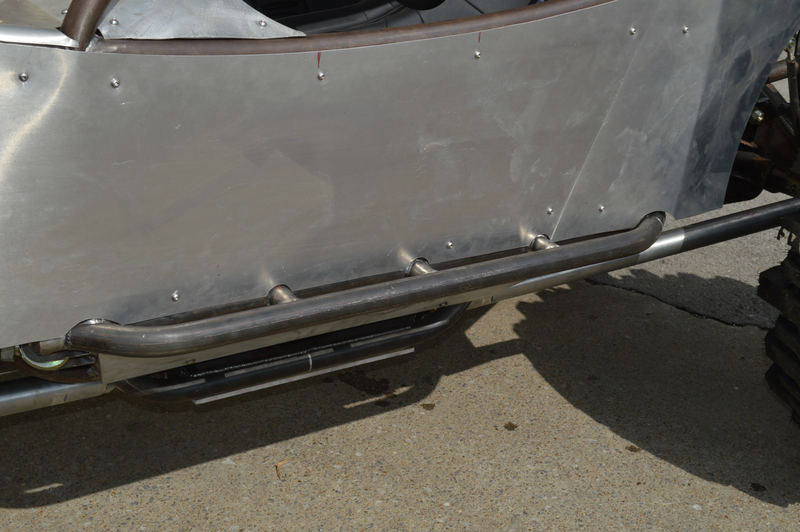 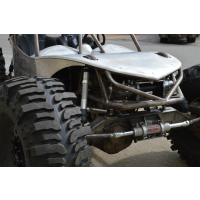 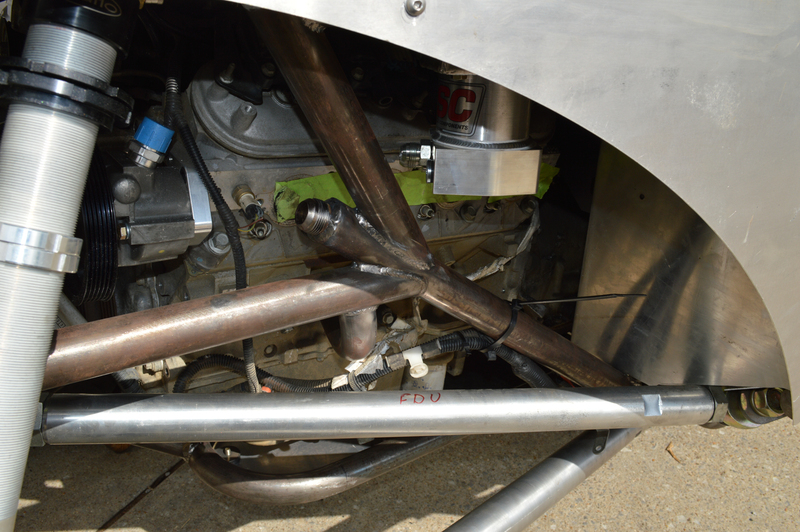 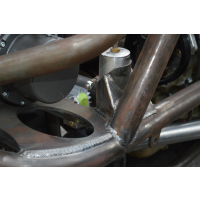 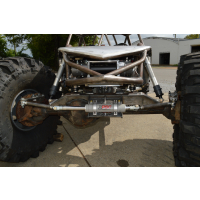 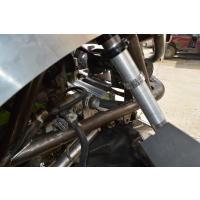 The suspension links are made of 2-1/4" 7075 Aluminum lowers and 2" 7075 Aluminum uppers with QA1 1-1/4" rod ends. 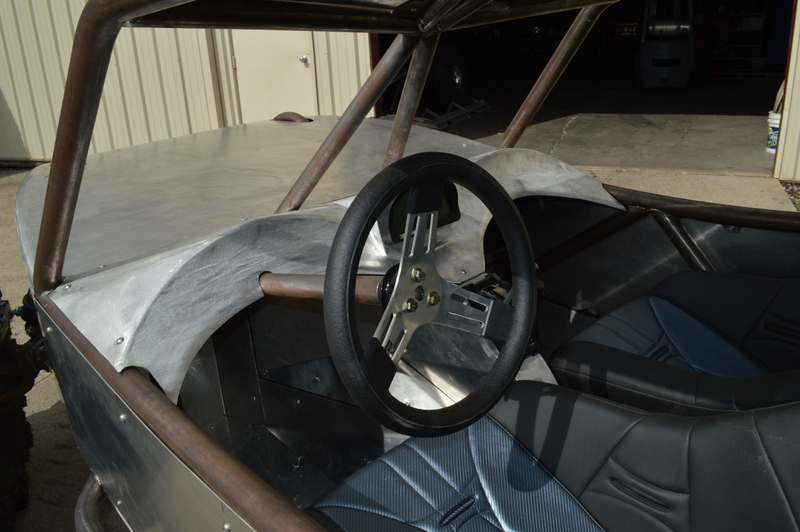 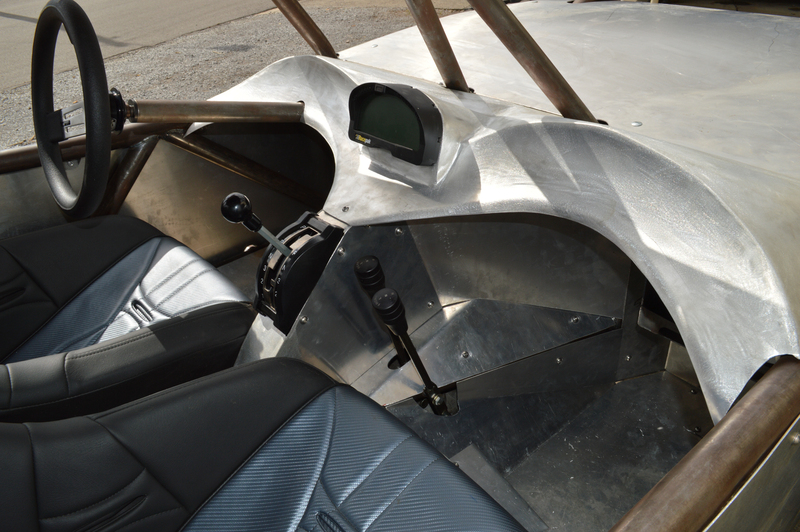 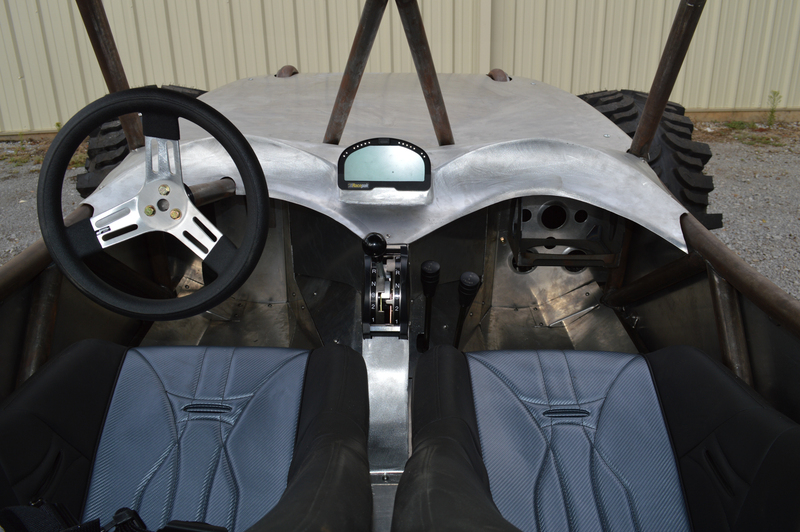 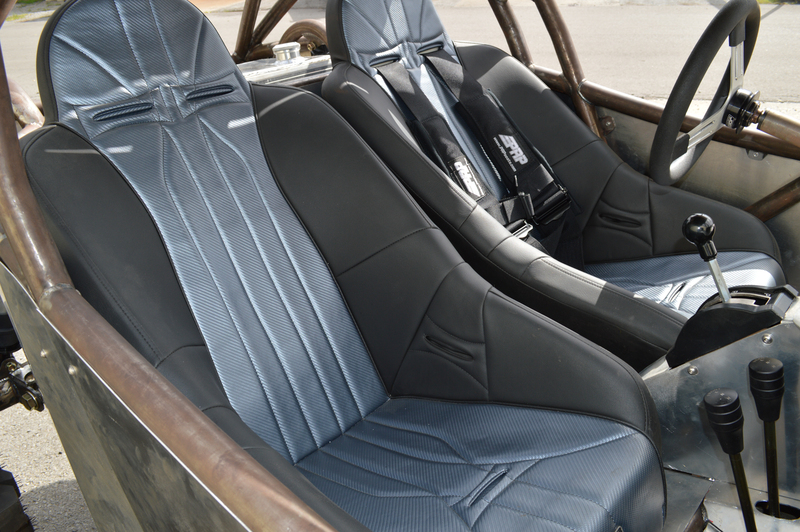 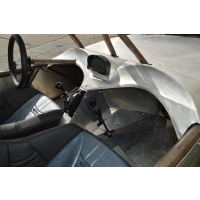 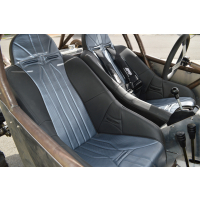 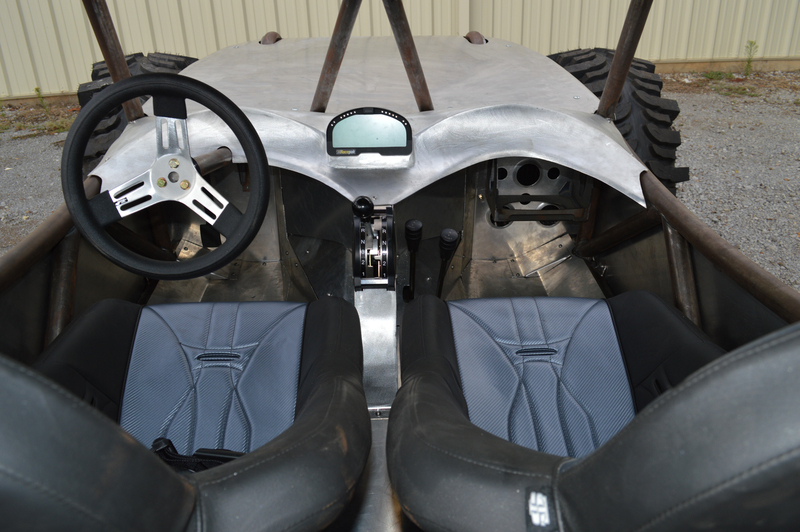 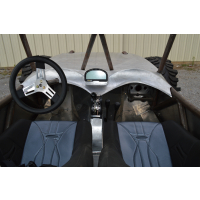 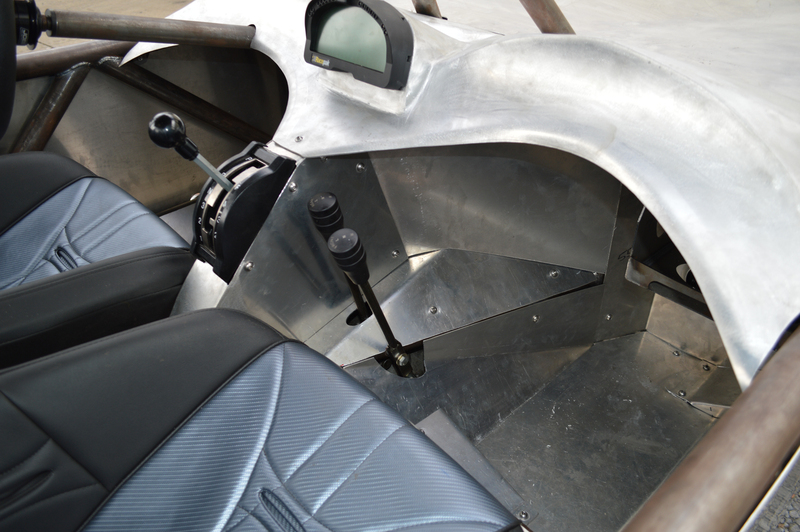 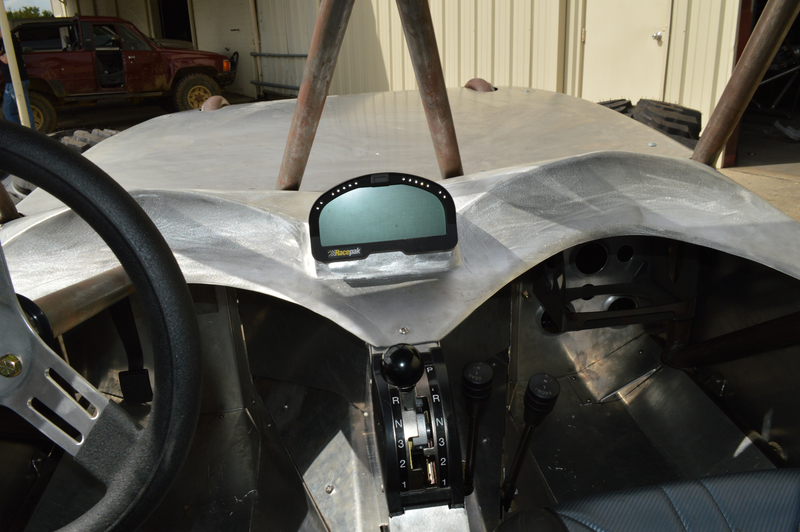 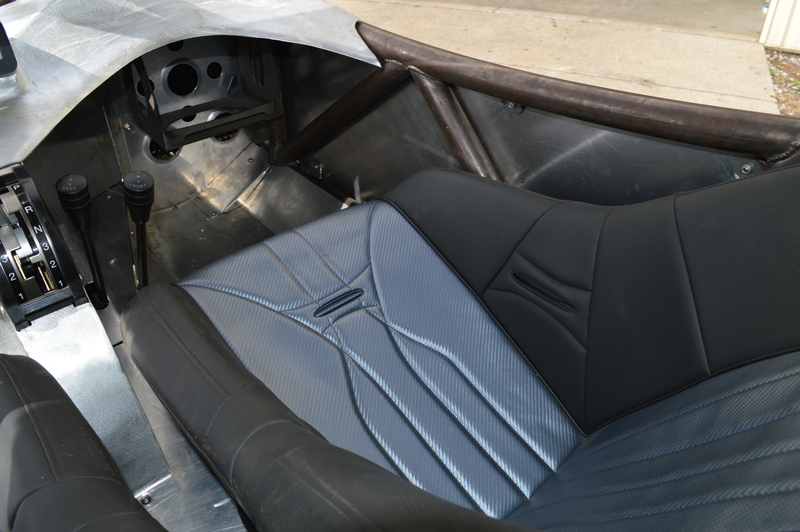 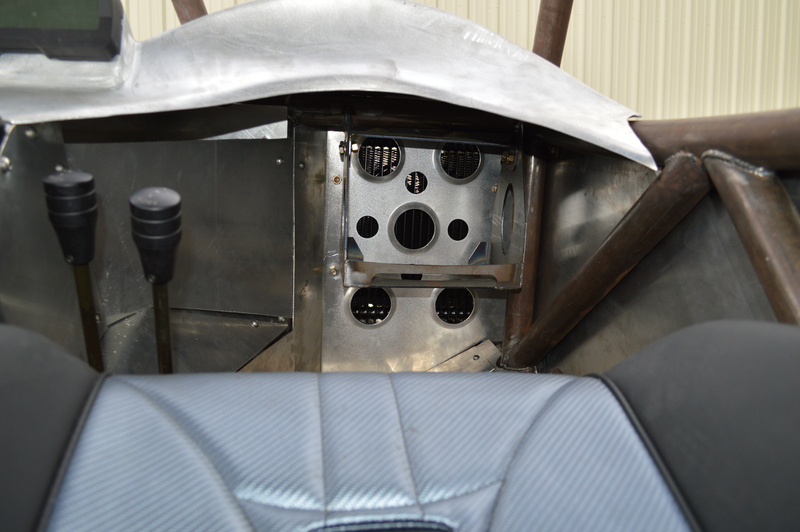 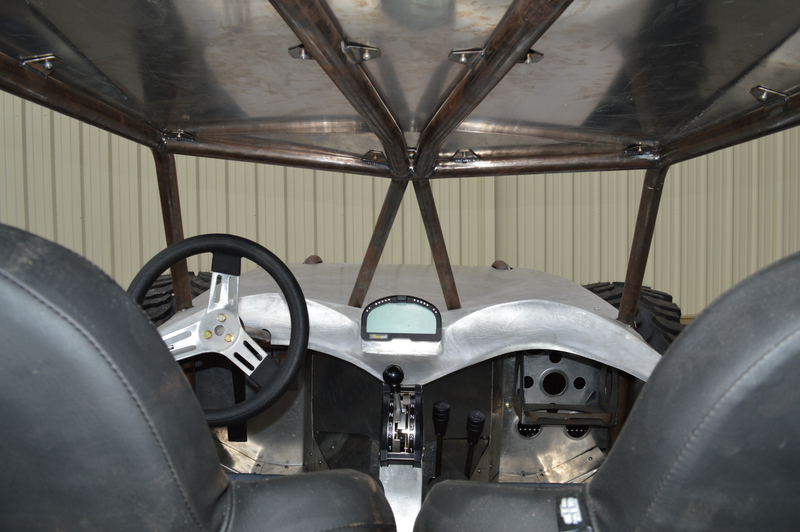 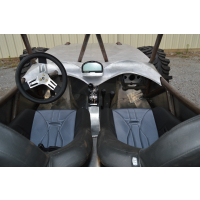 The interior features Twisted Stitch seats and our Evolution interior kit with custom hand-made aluminum dash and console which houses the RacePak IQ3 digital gauge.